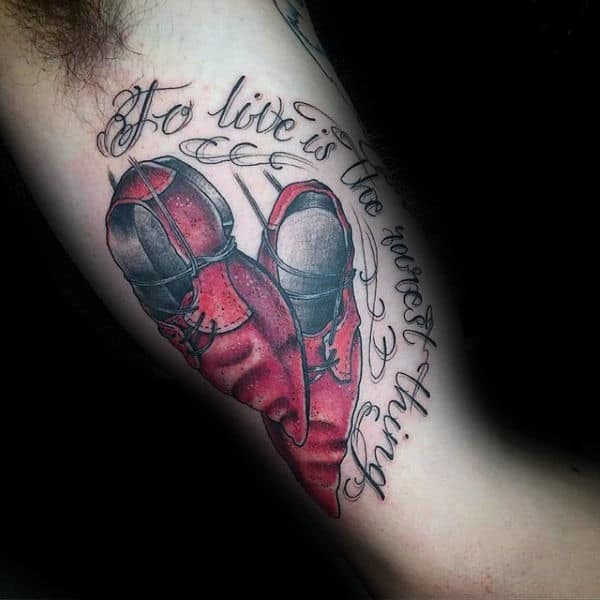 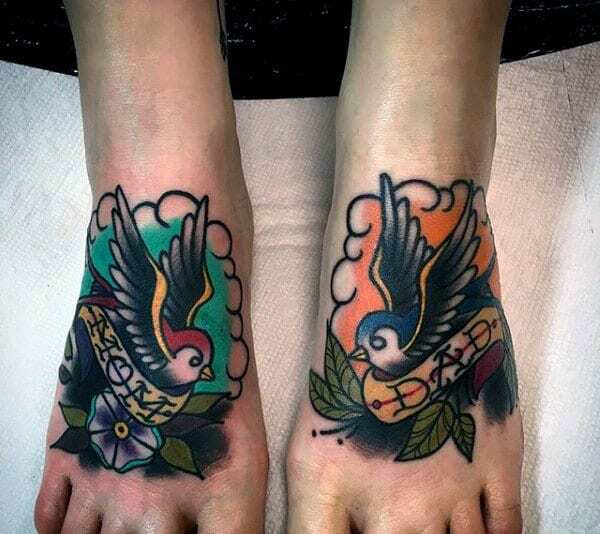 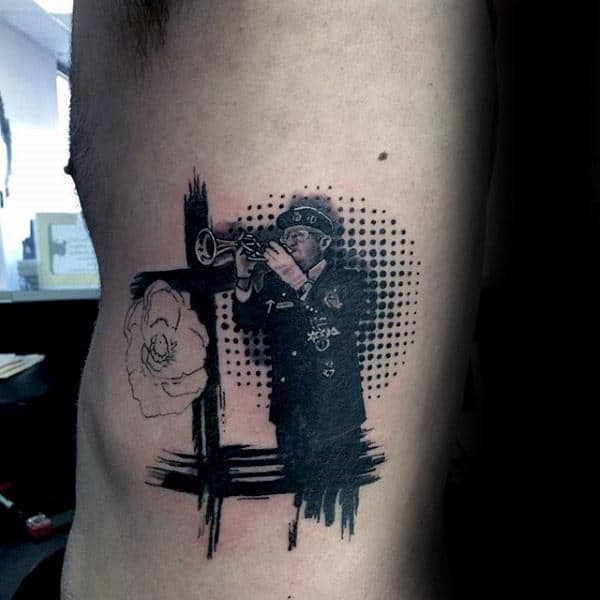 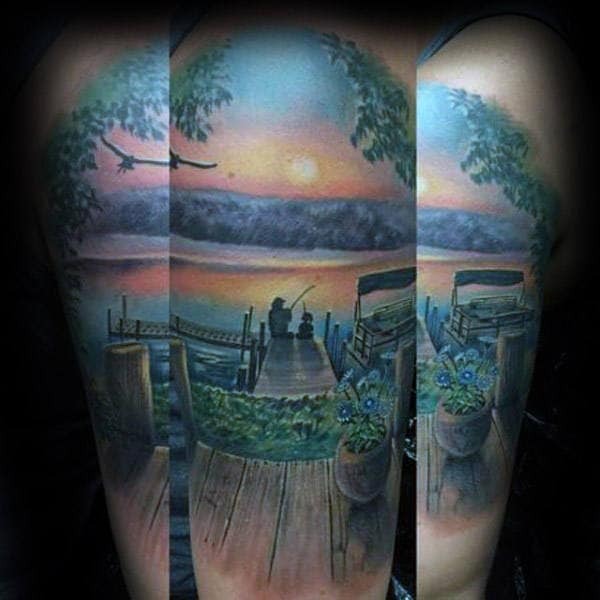 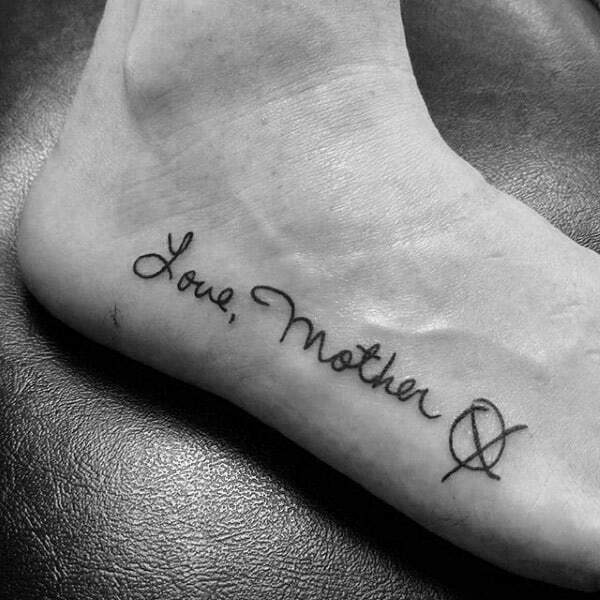 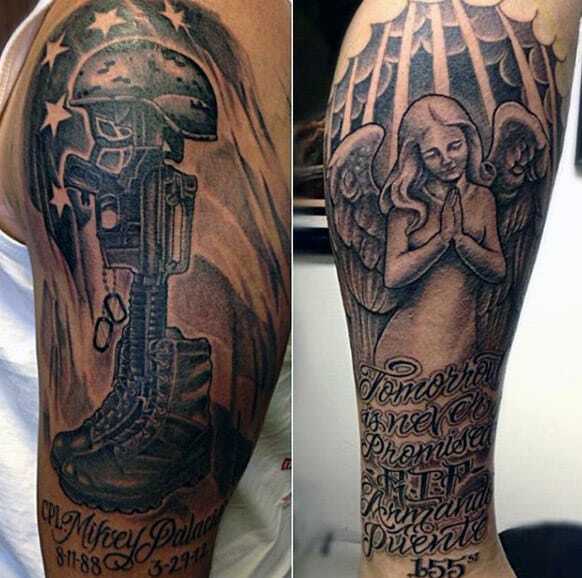 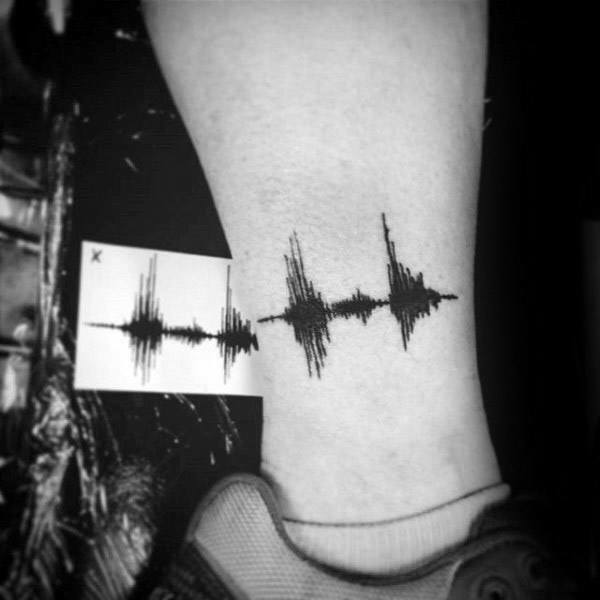 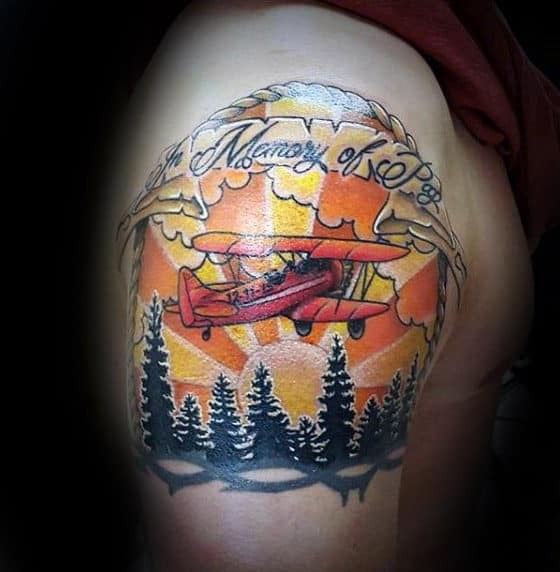 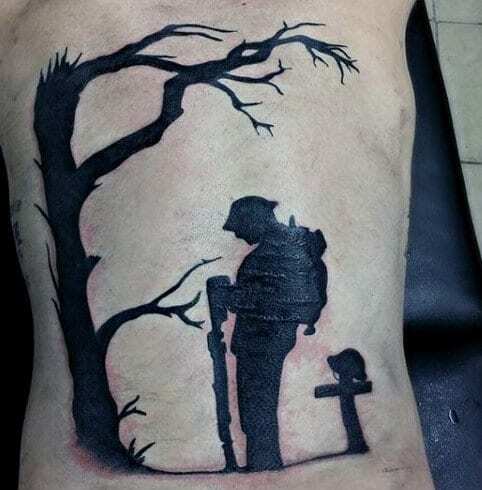 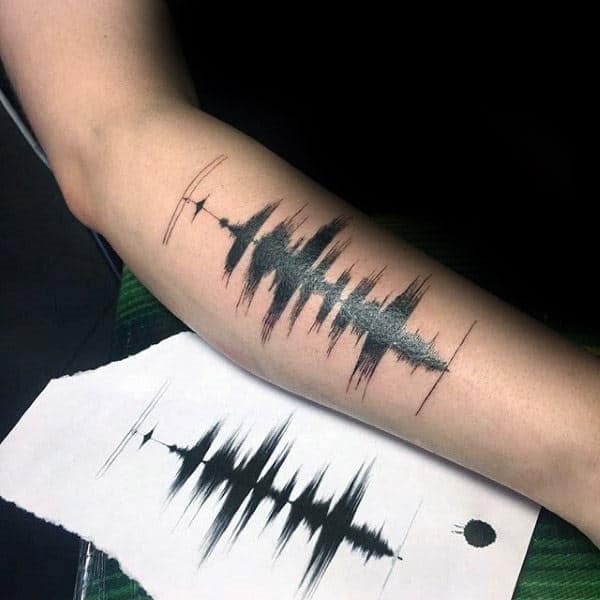 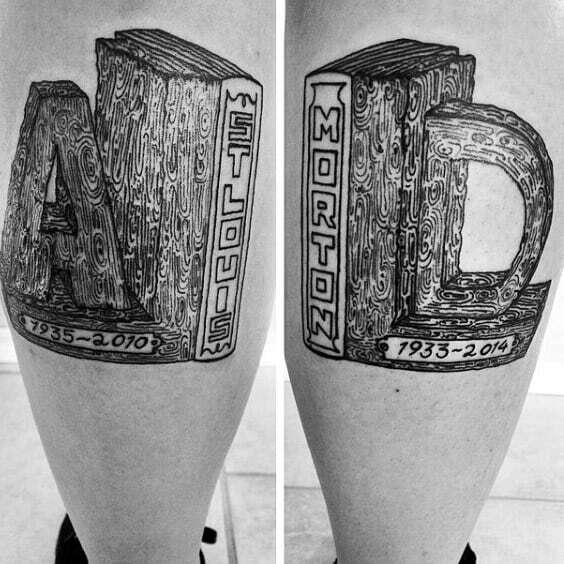 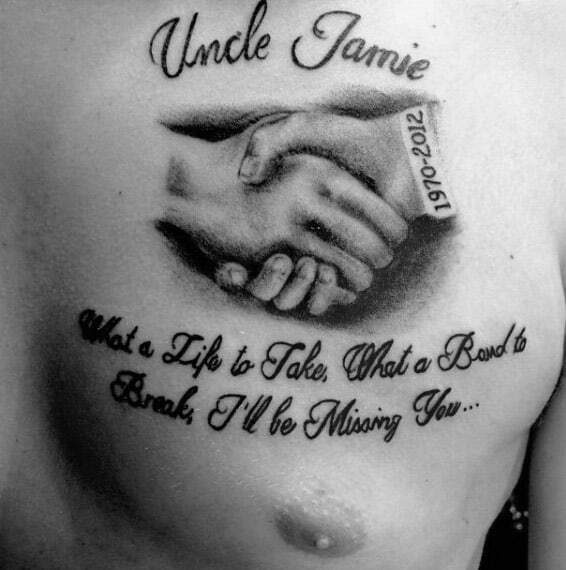 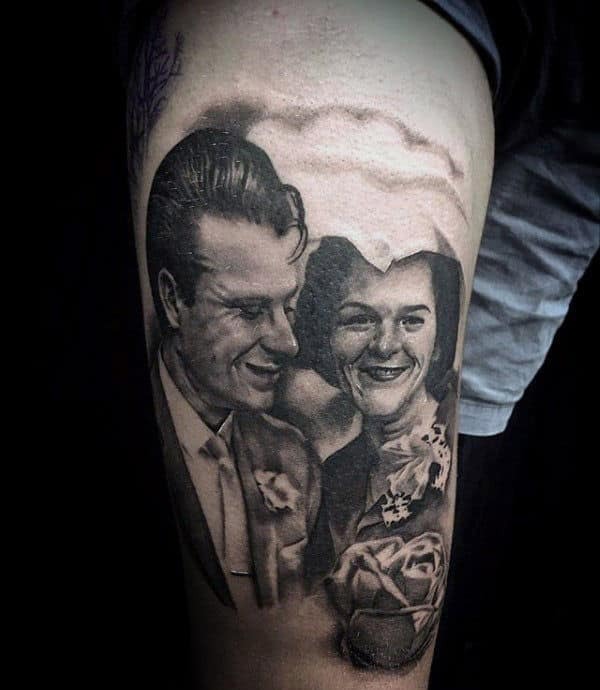 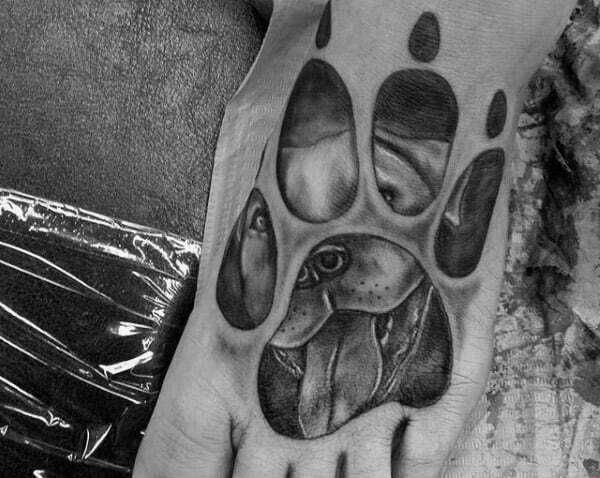 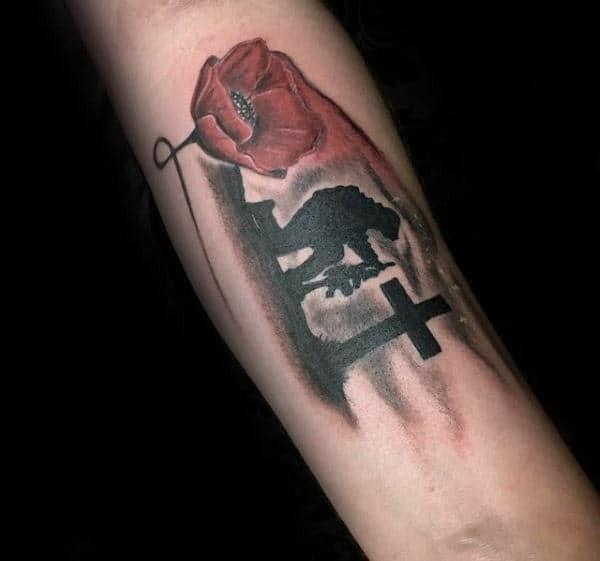 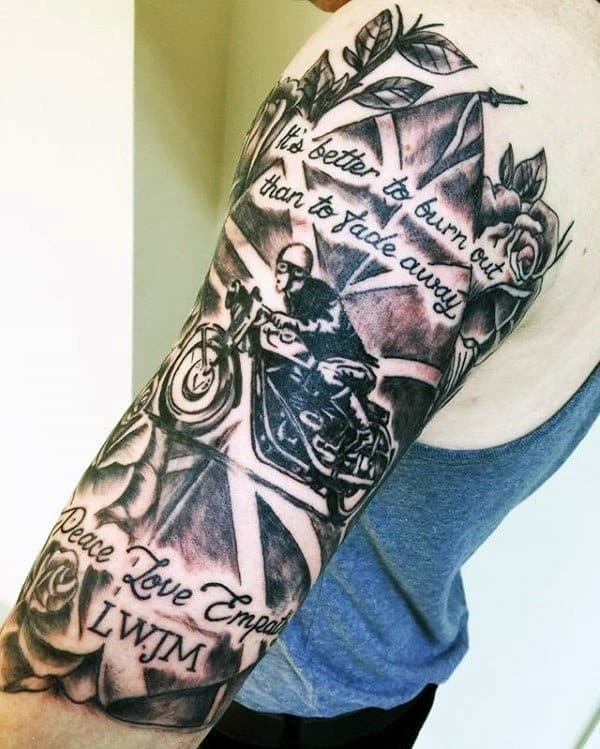 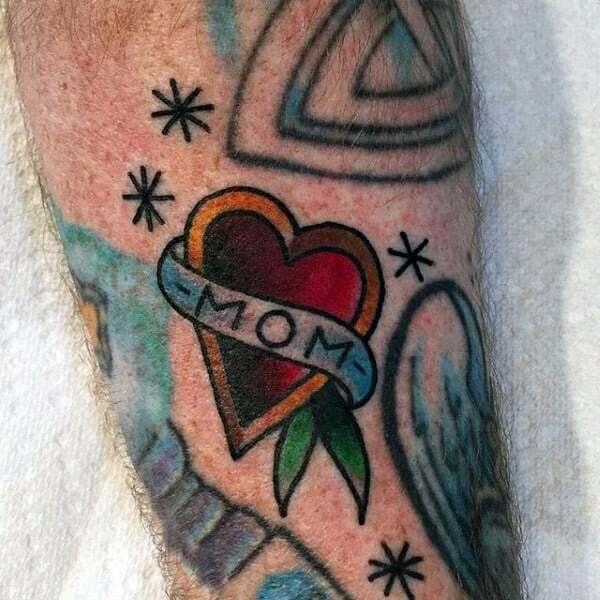 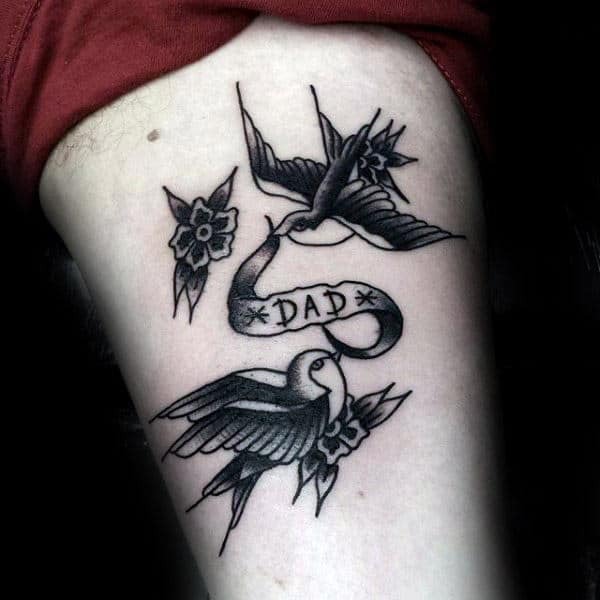 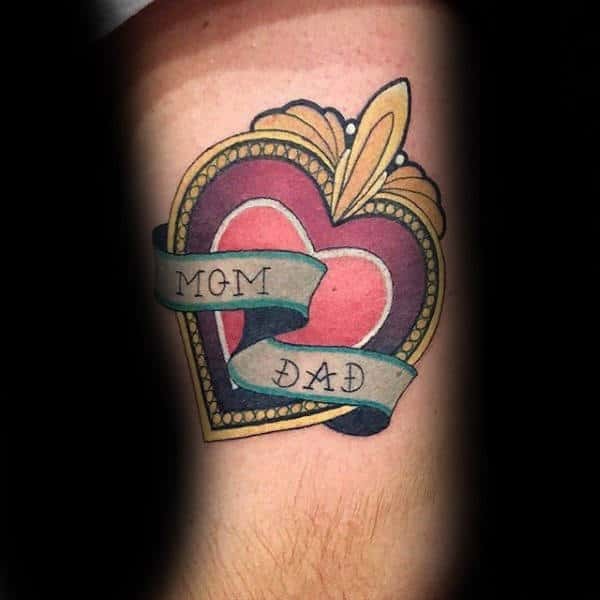 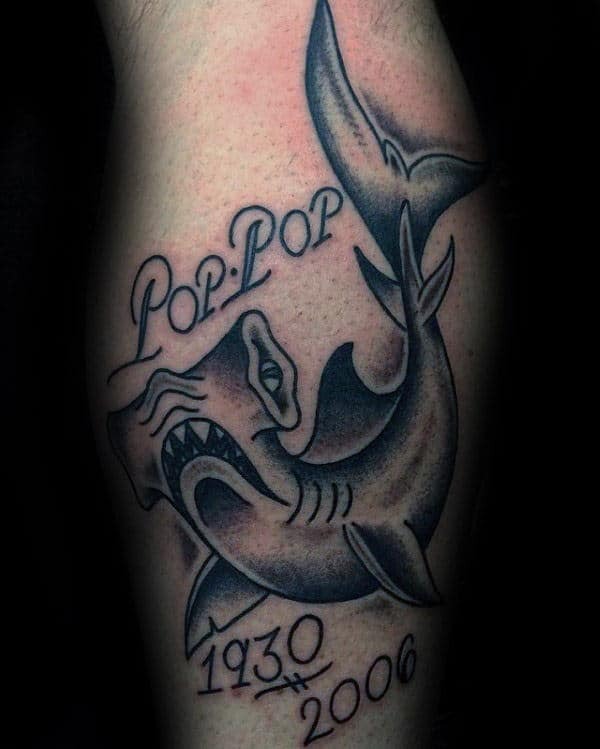 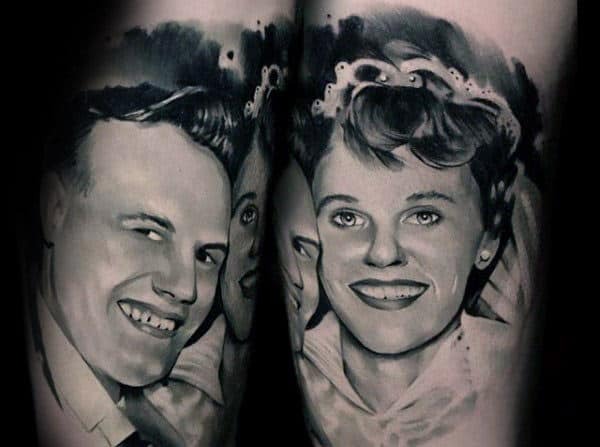 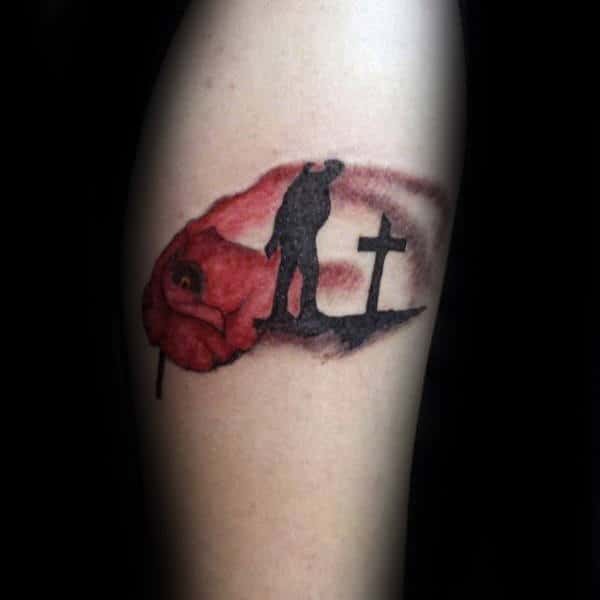 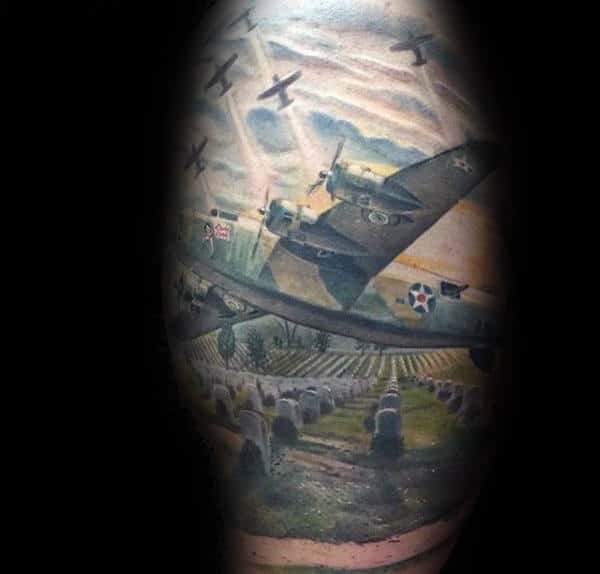 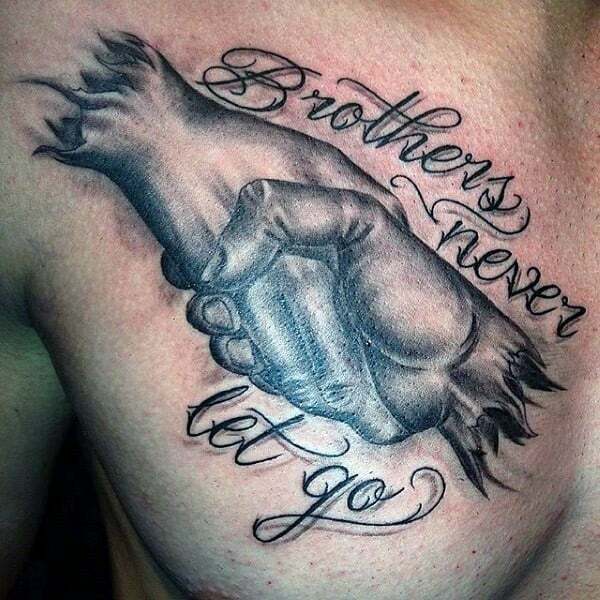 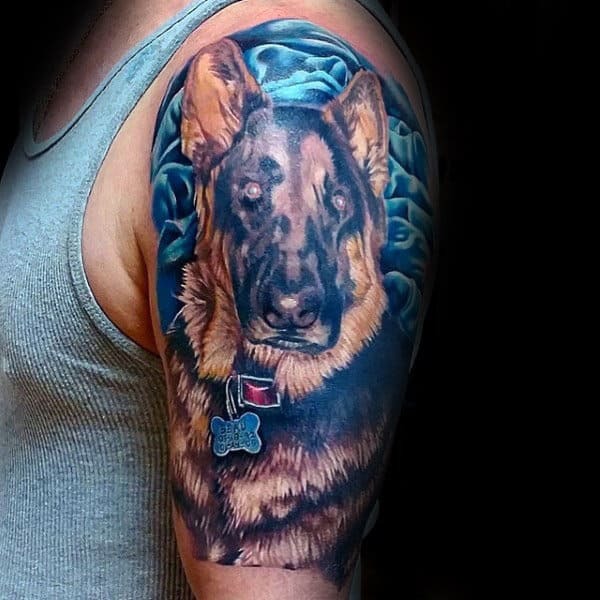 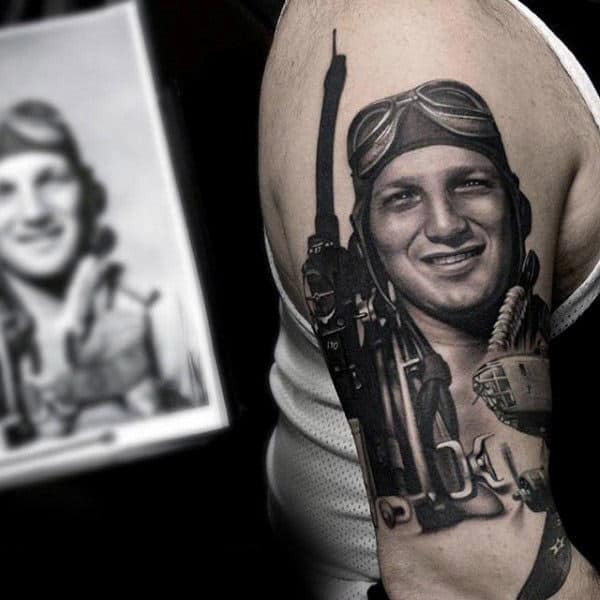 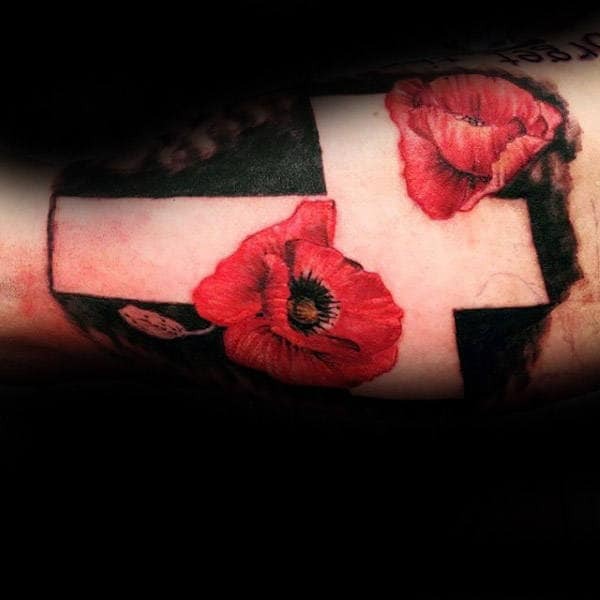 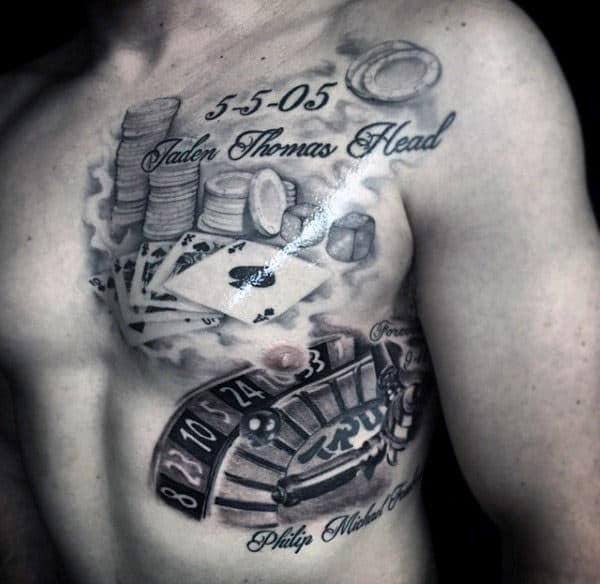 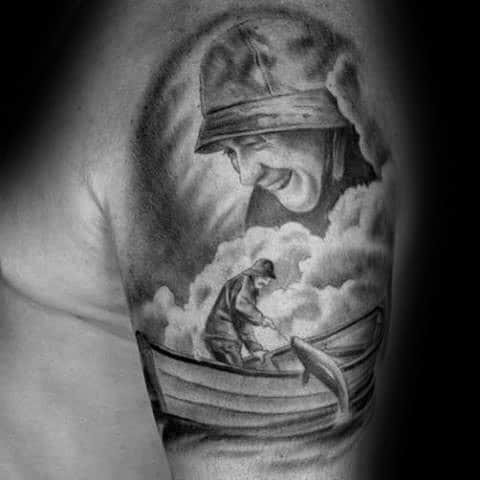 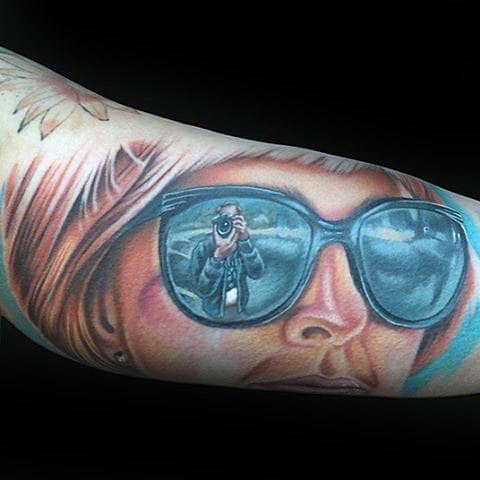 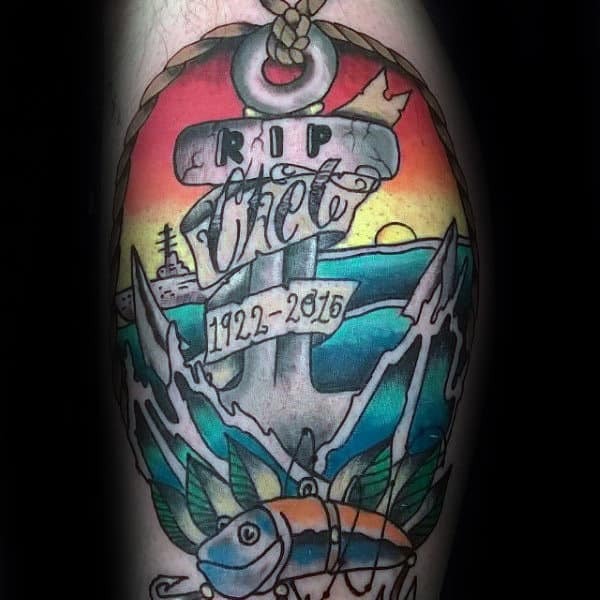 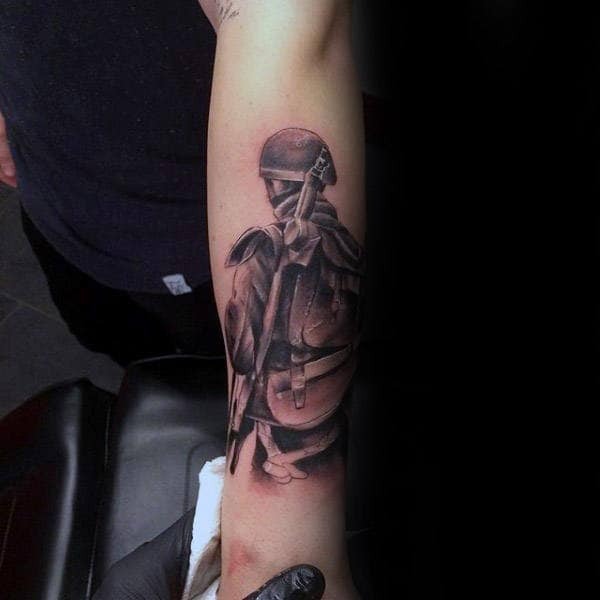 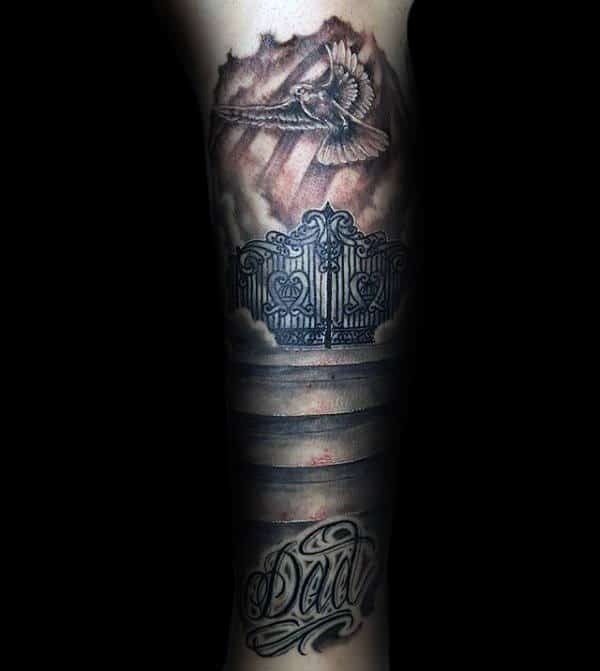 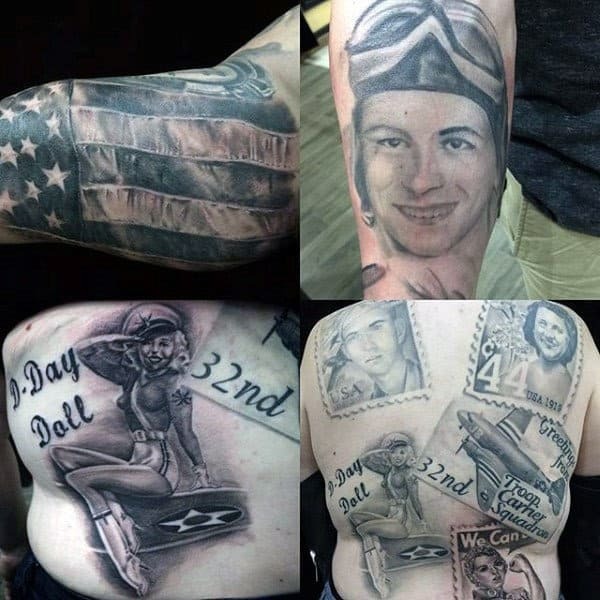 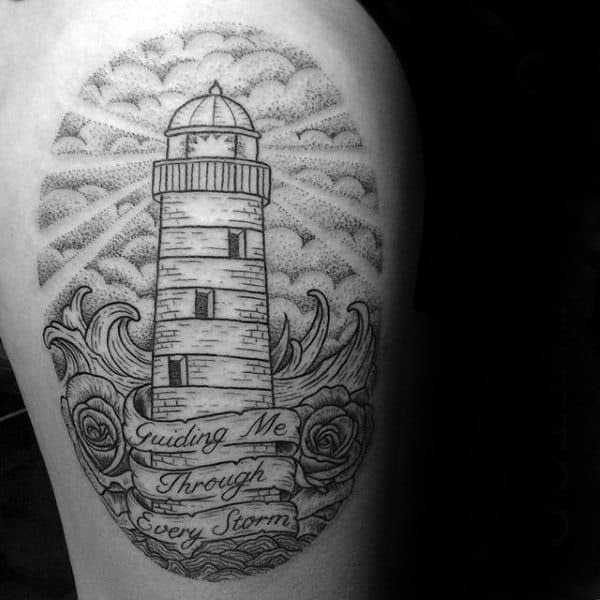 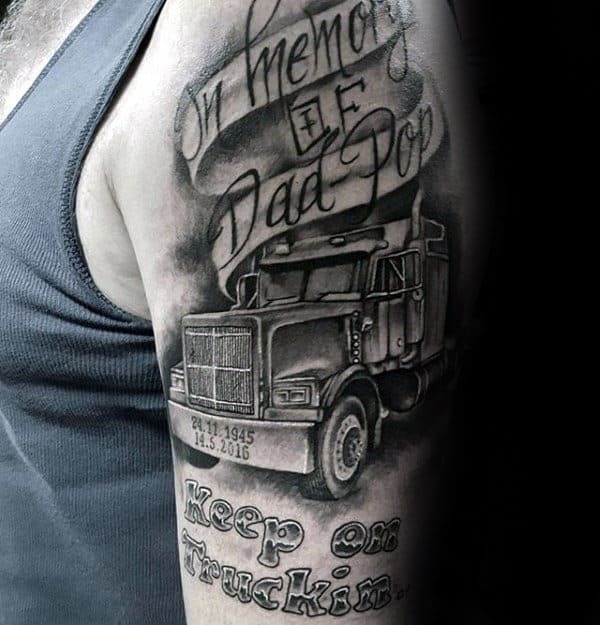 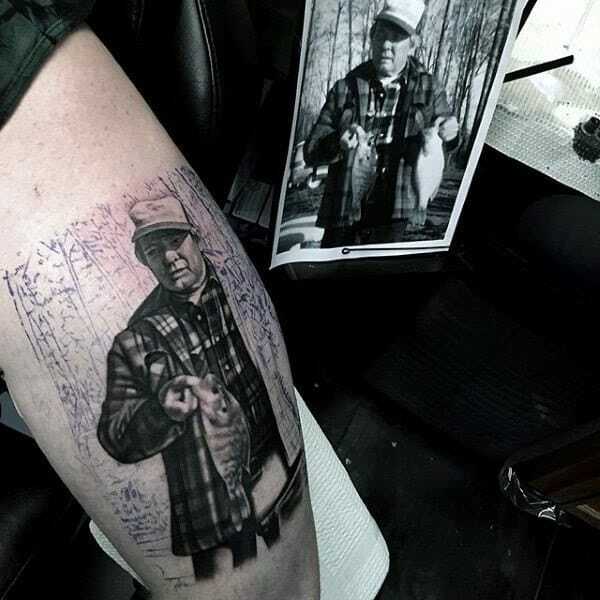 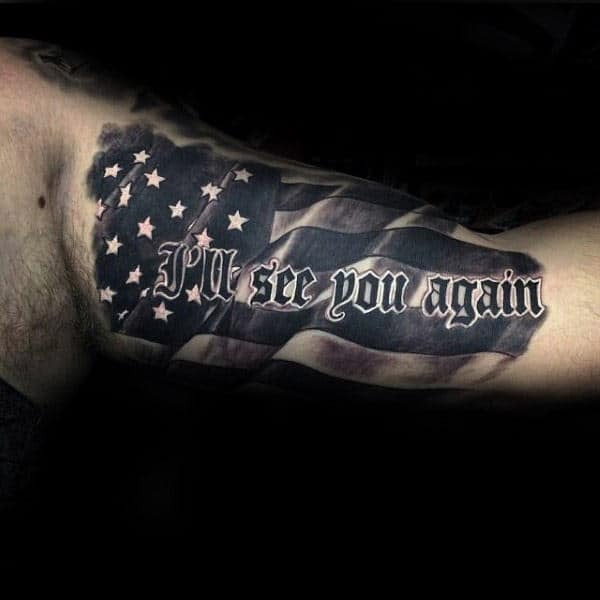 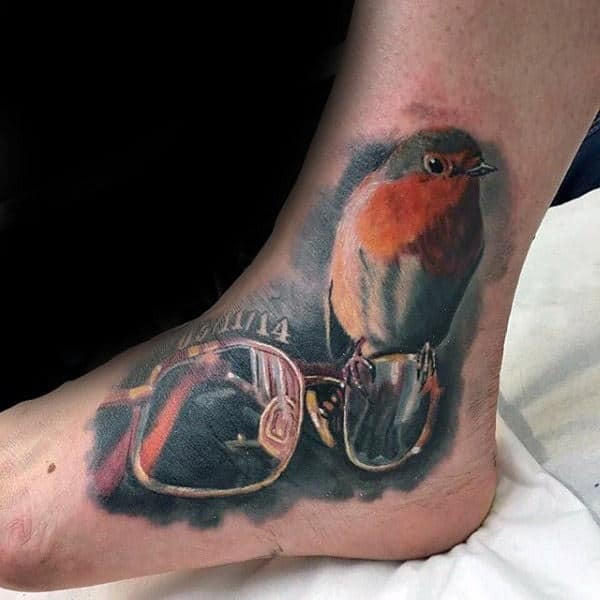 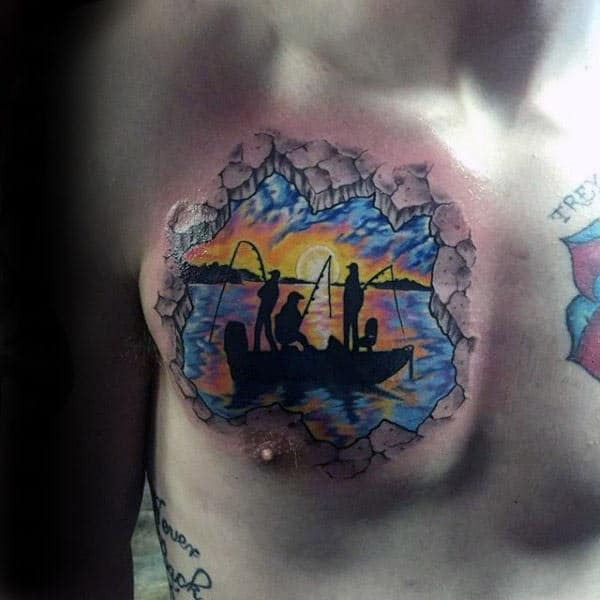 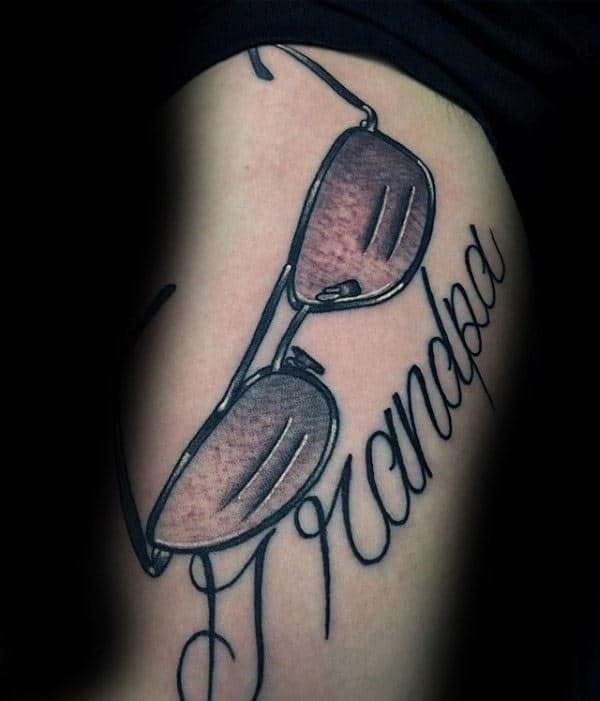 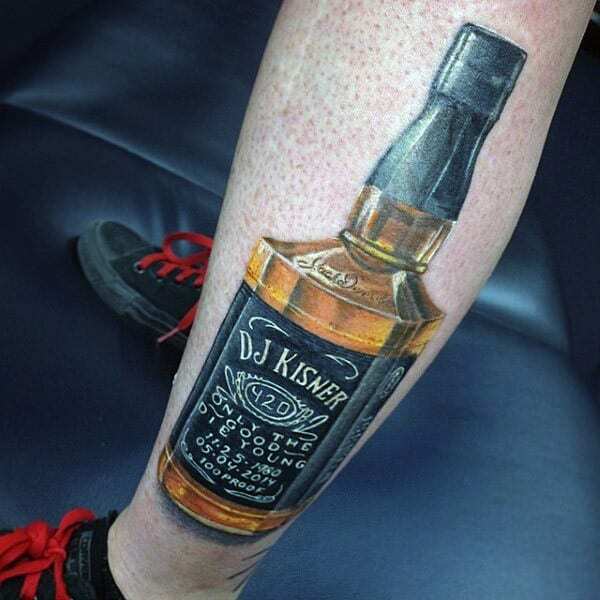 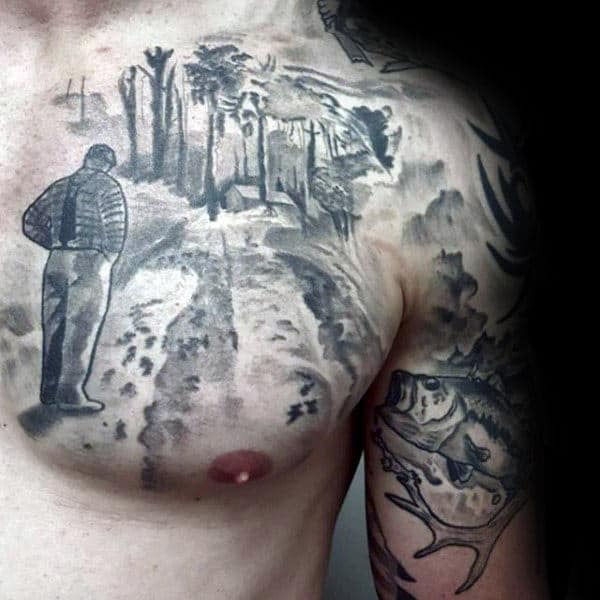 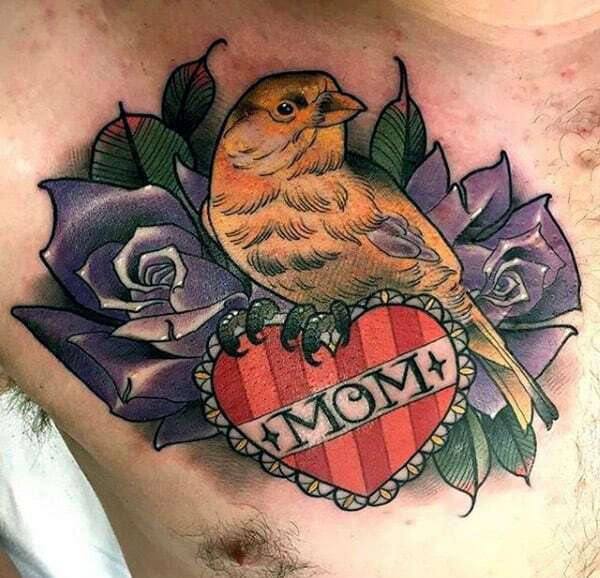 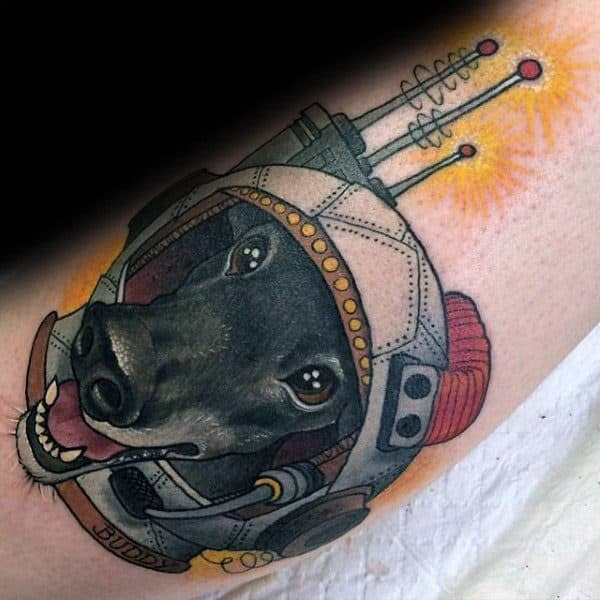 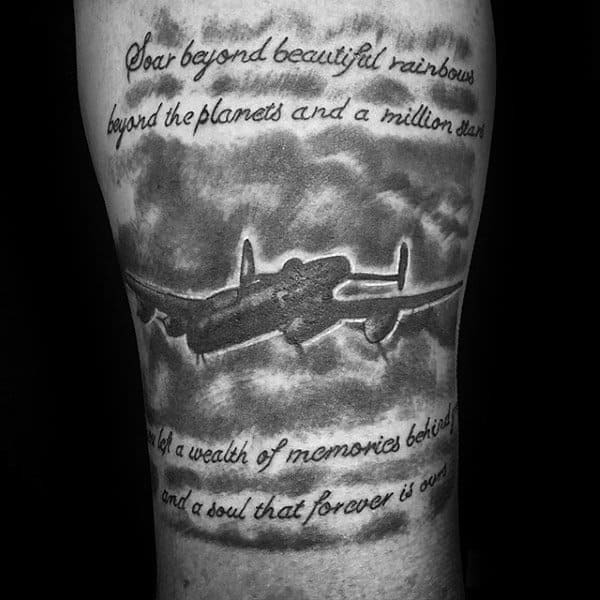 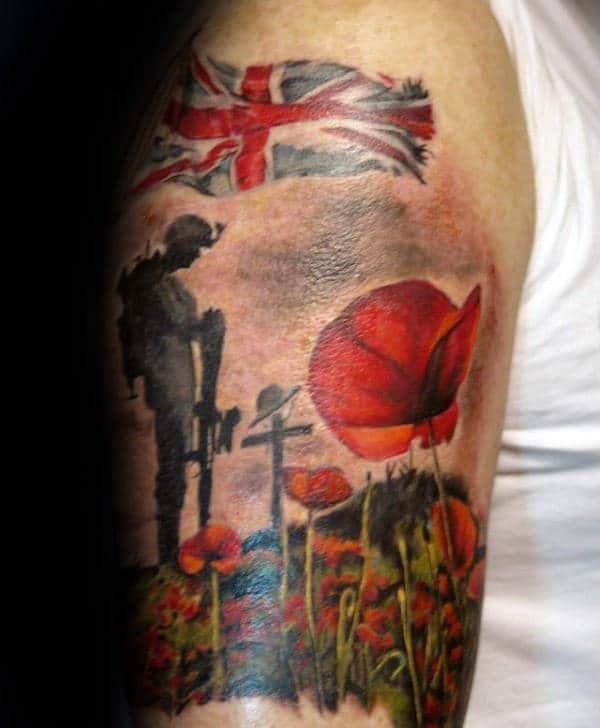 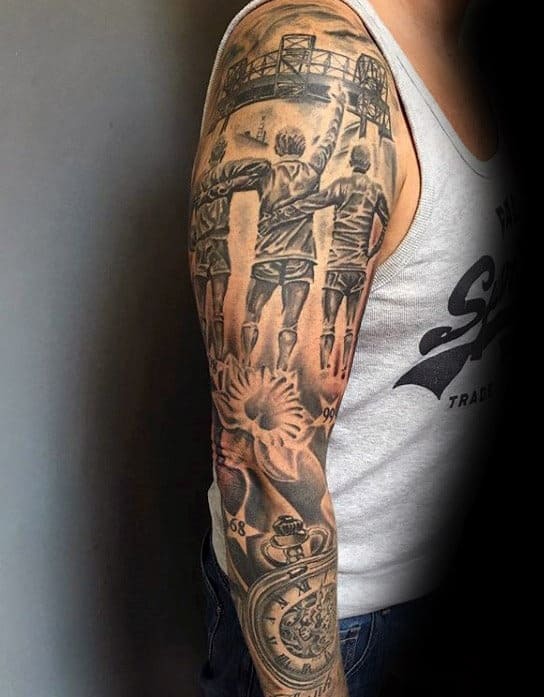 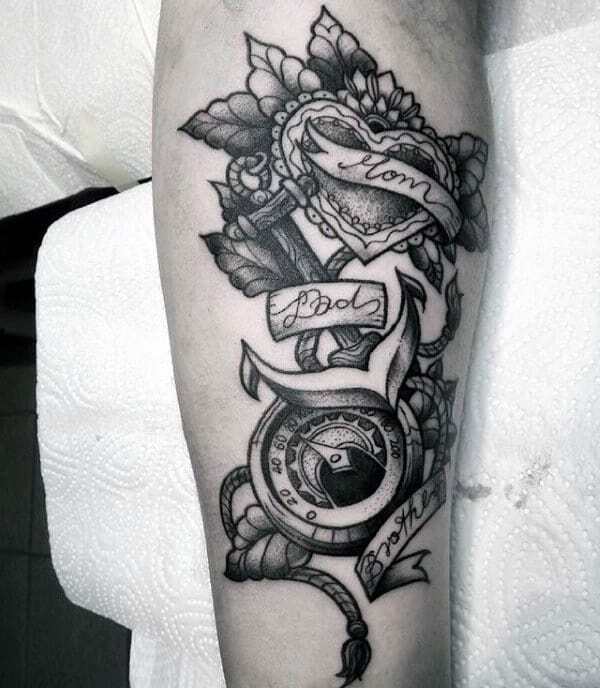 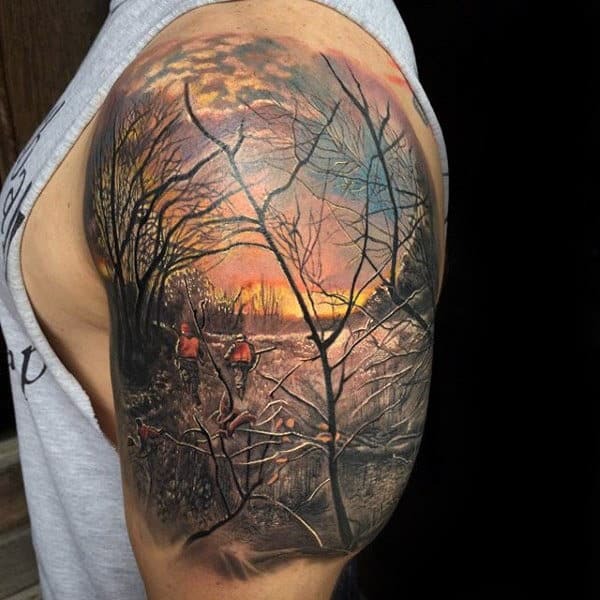 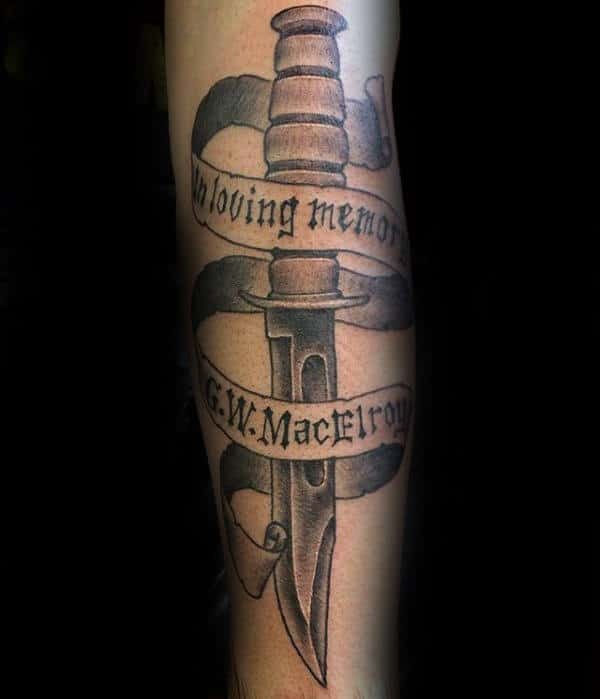 Blissful sentimentality is serenely encapsulated within all kinds of memorial tattoos. 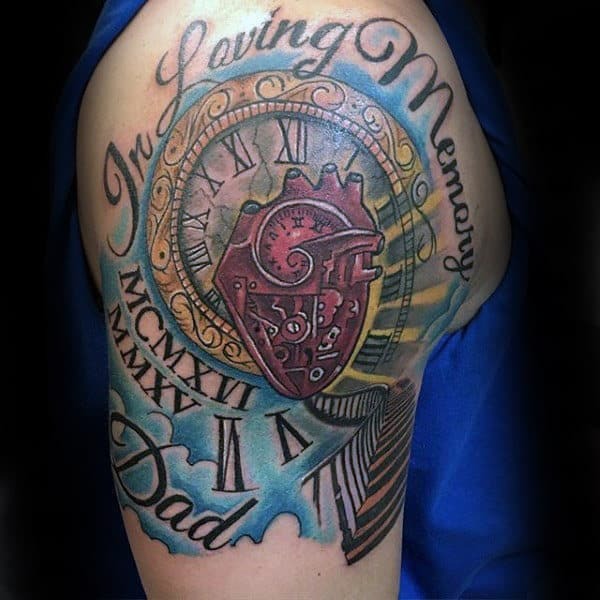 These timeless tributes are touching emblems of a warm inner nature that exclusively focuses on forging positive connections with other people. 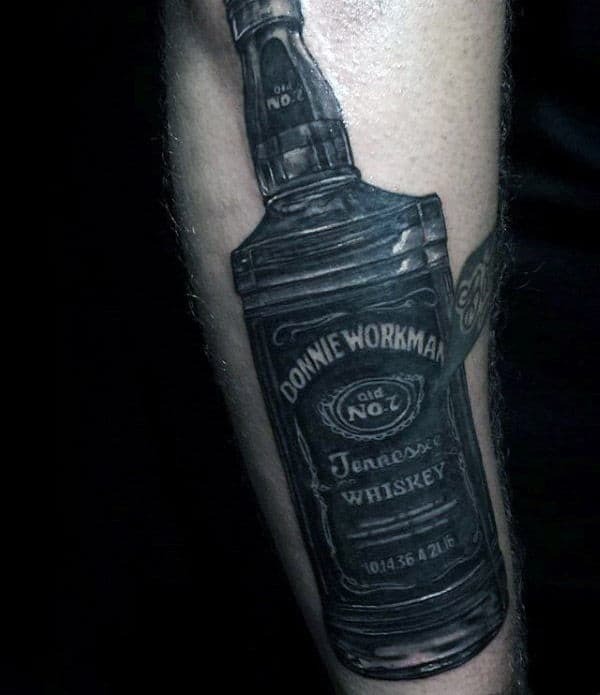 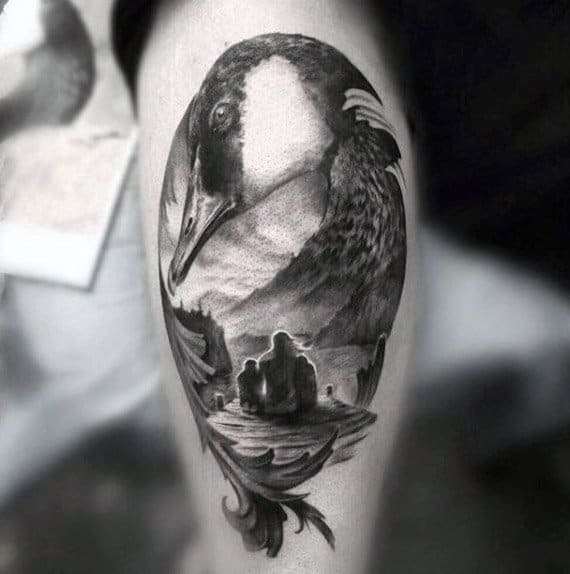 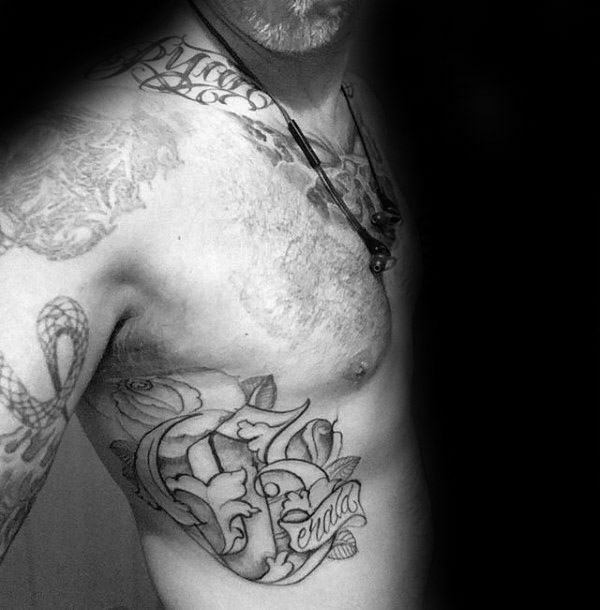 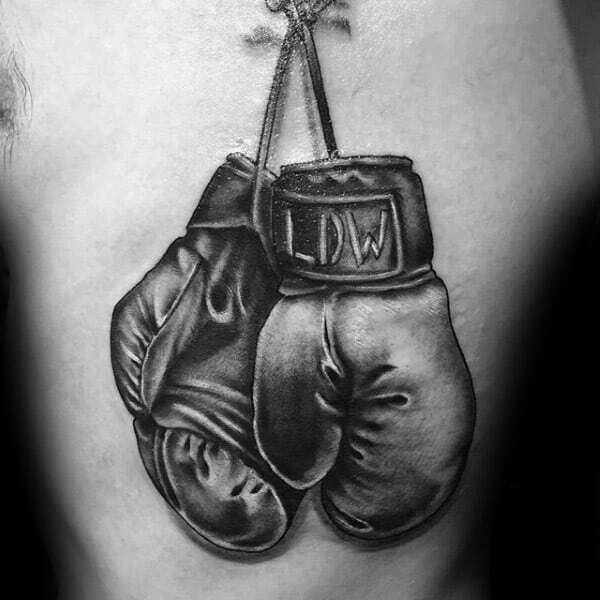 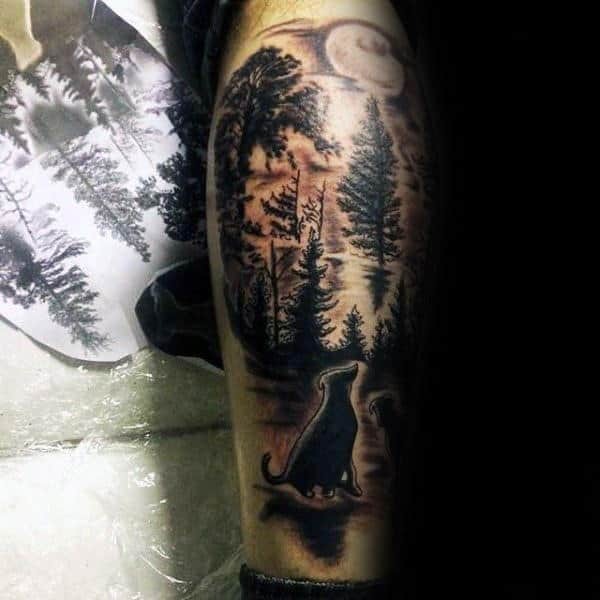 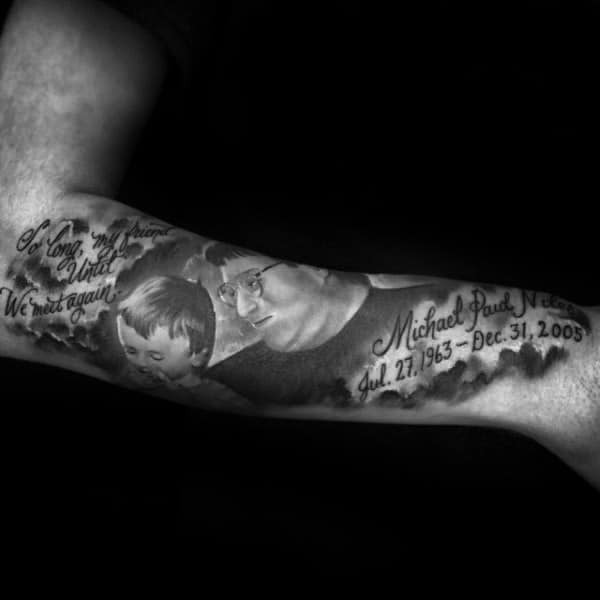 Nothing captures the pain of bereavement better than a memorial tattoo. 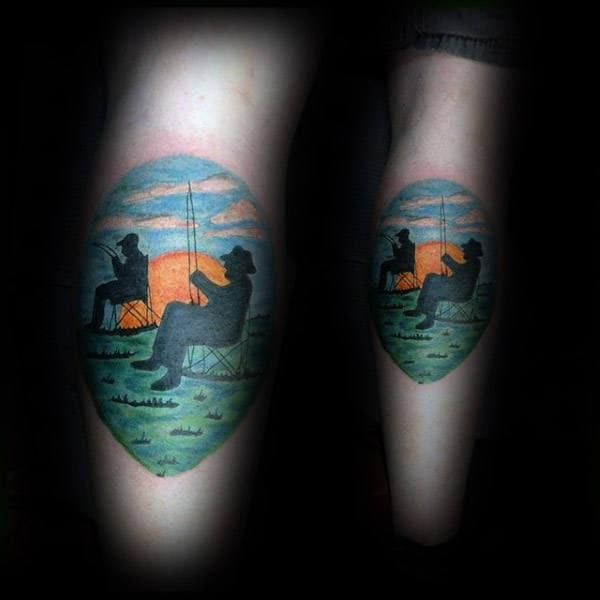 They often rely on idyllic décor to emphasize a longing for the good times instead of focusing on the end. 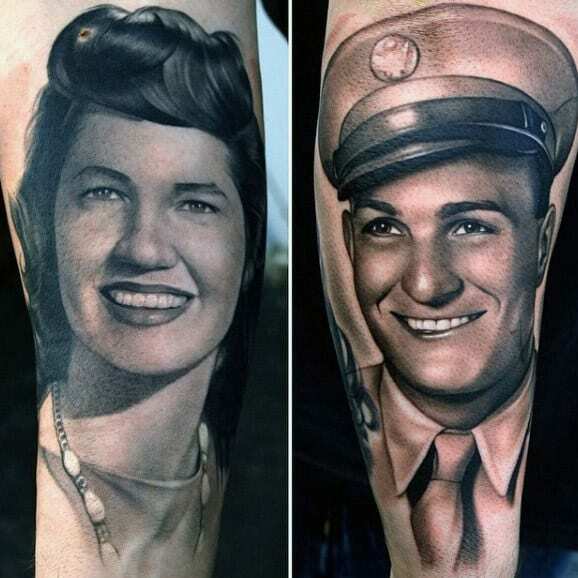 These stirring representations of emotion are laced with vital appeal, which is derived from the appearance of sensitivity. 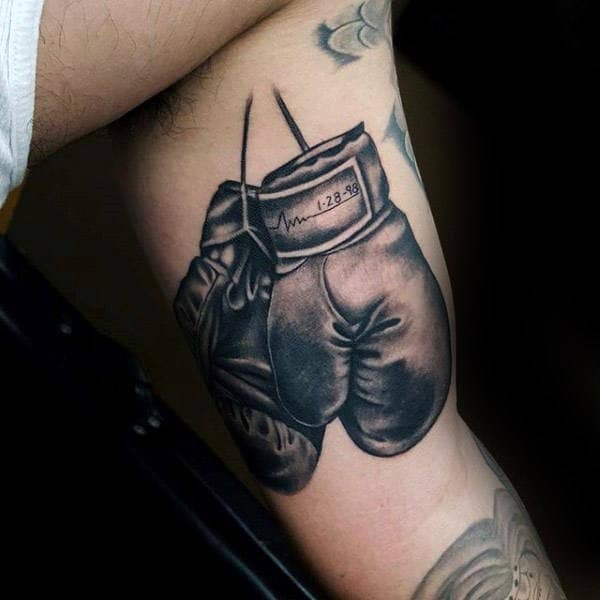 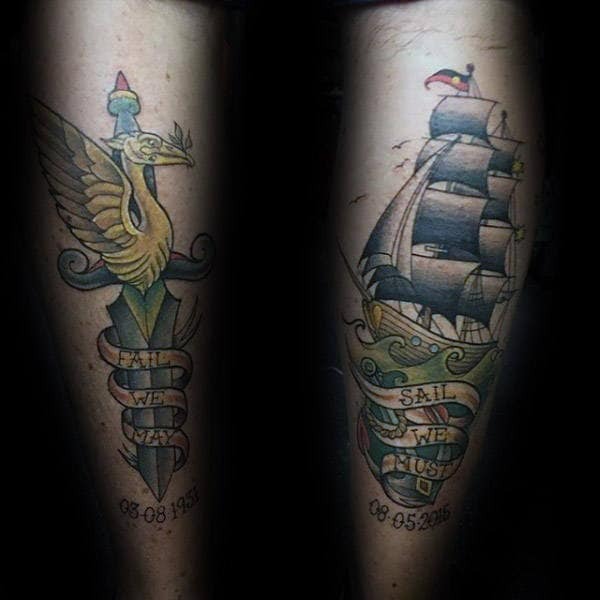 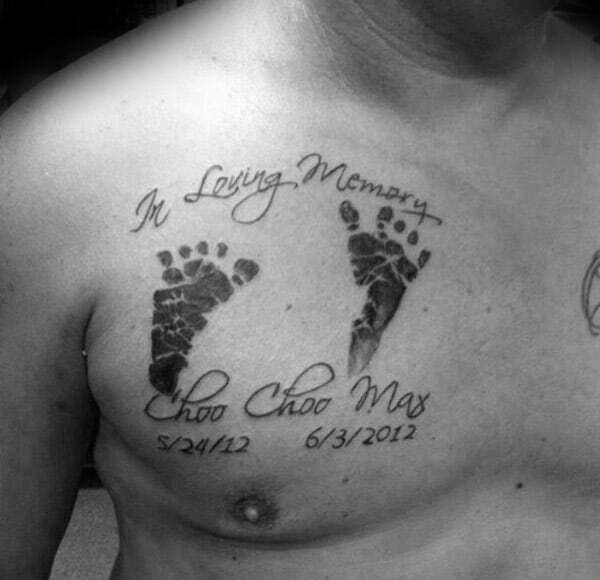 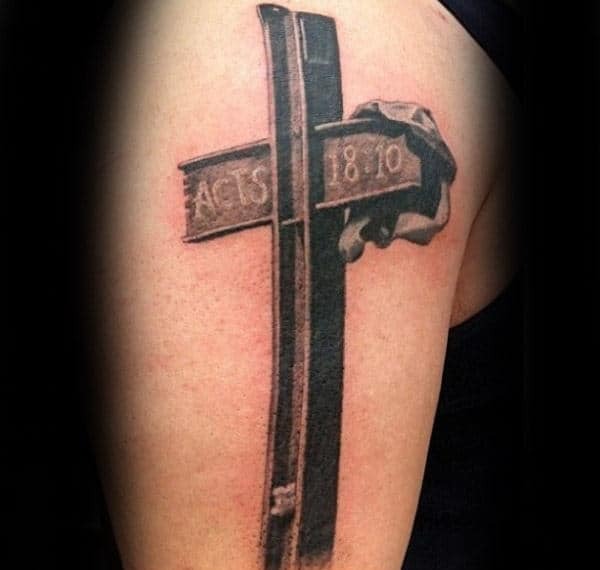 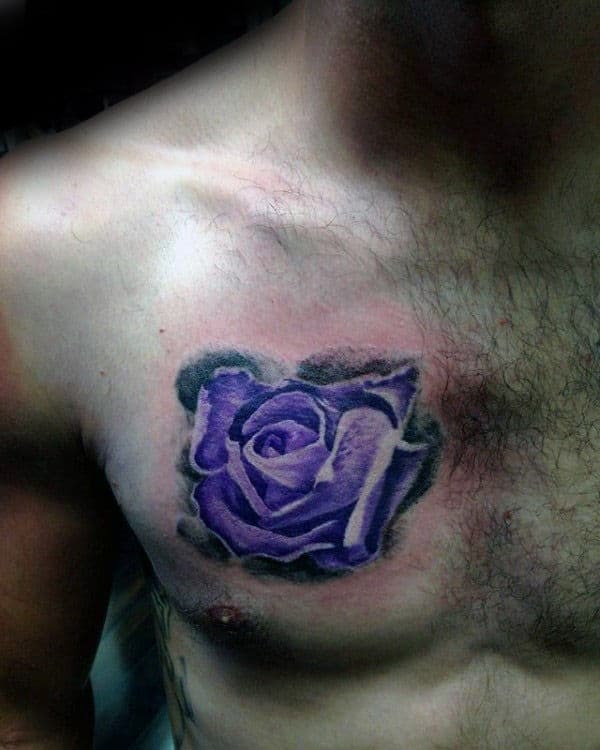 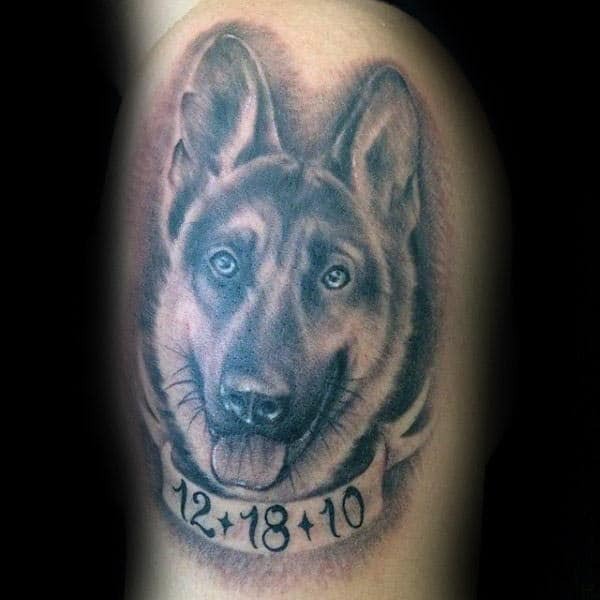 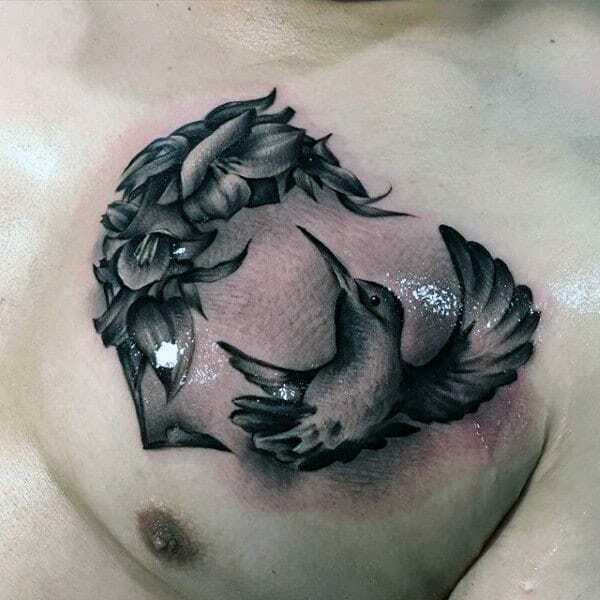 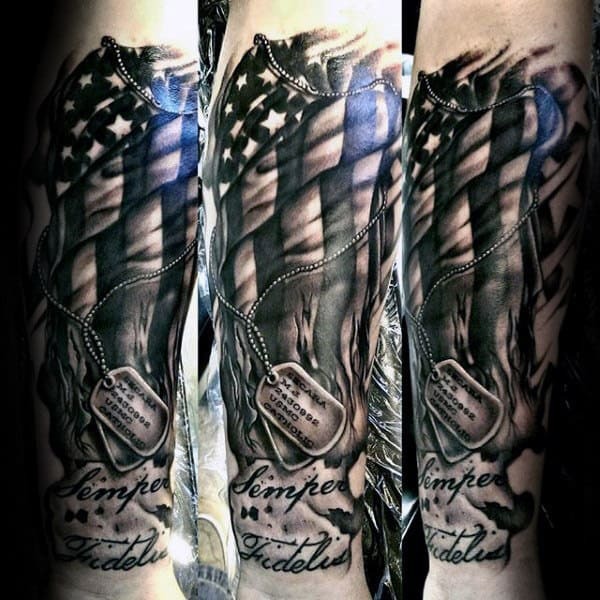 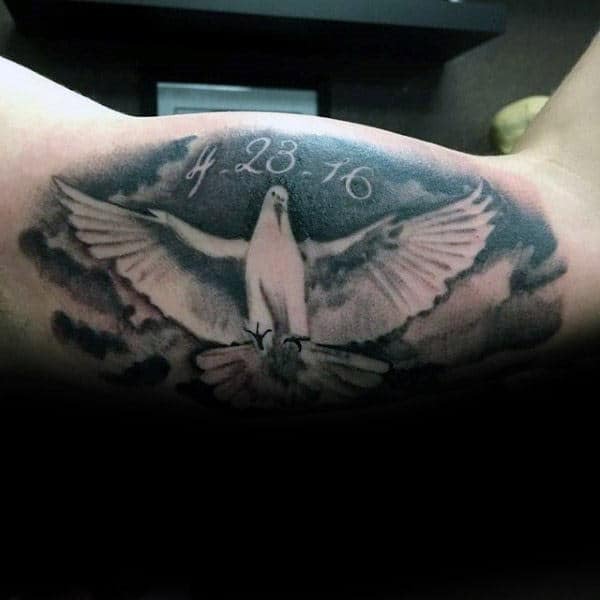 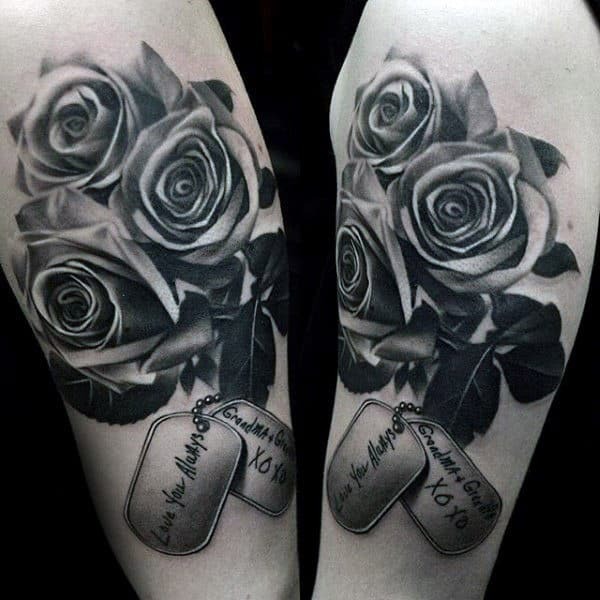 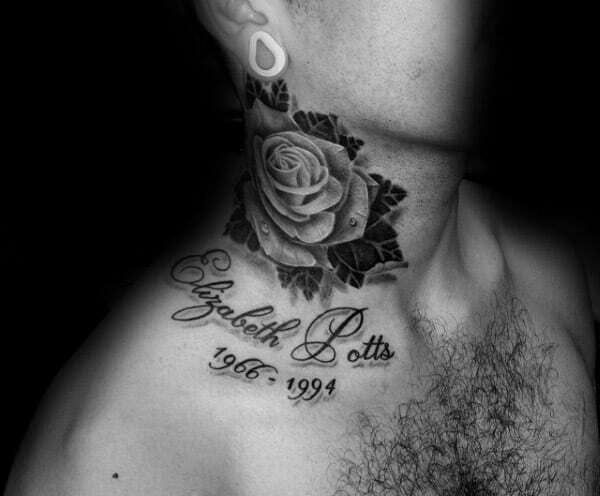 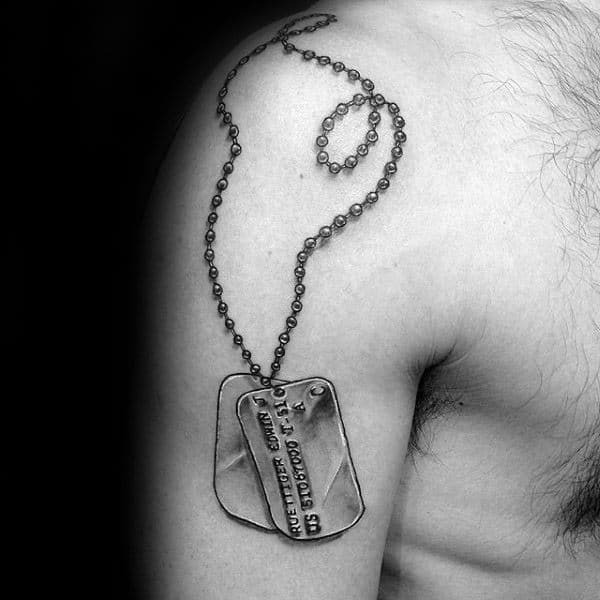 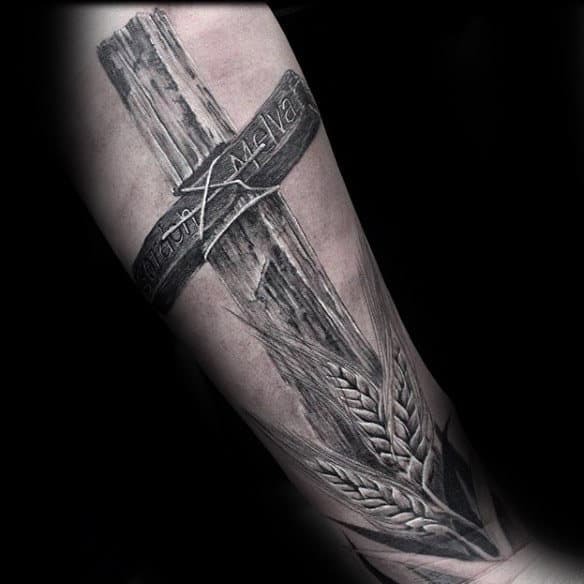 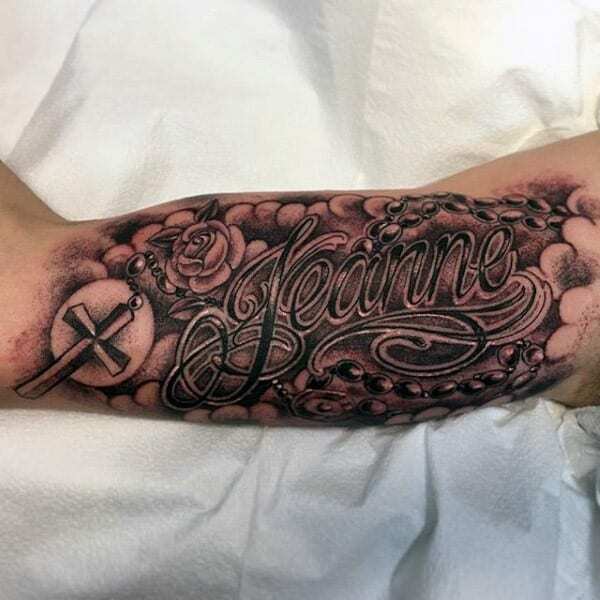 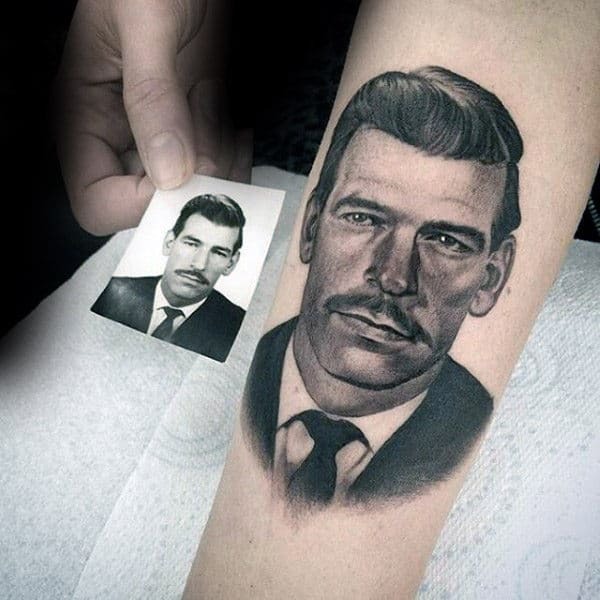 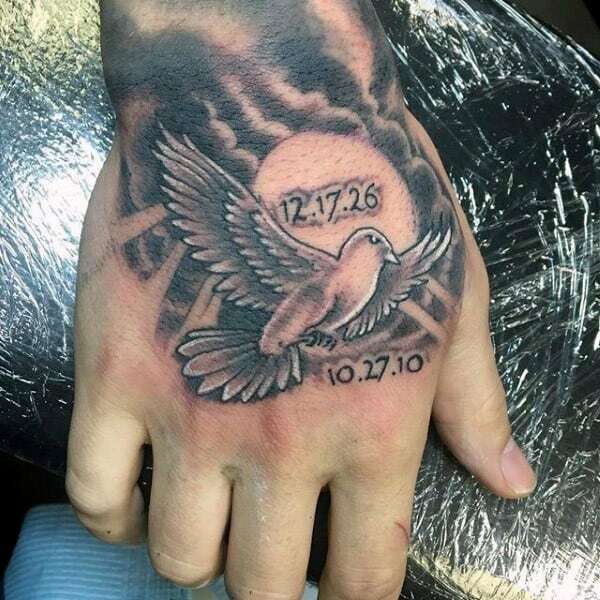 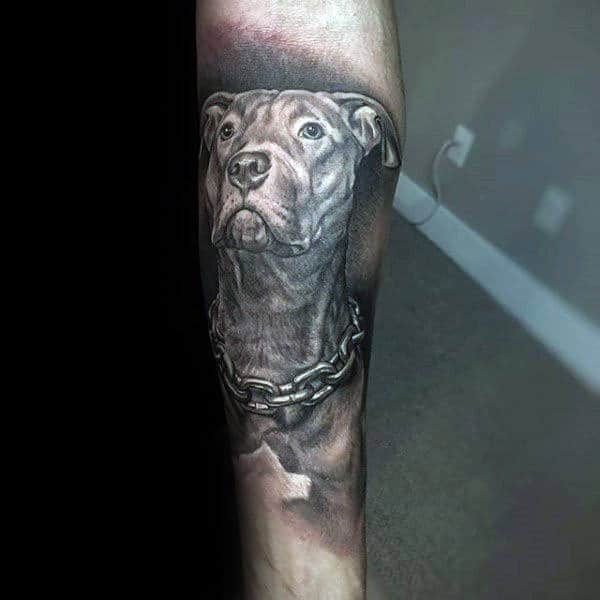 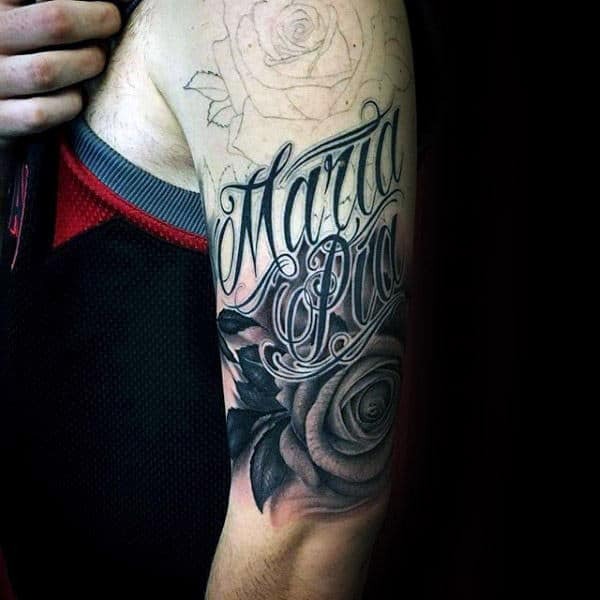 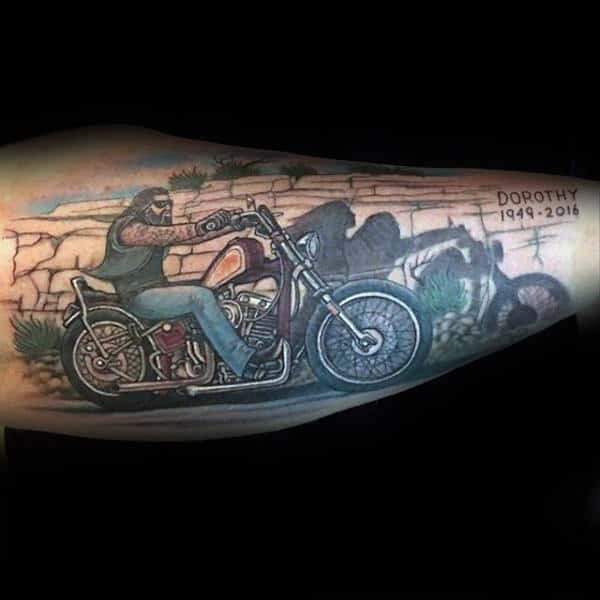 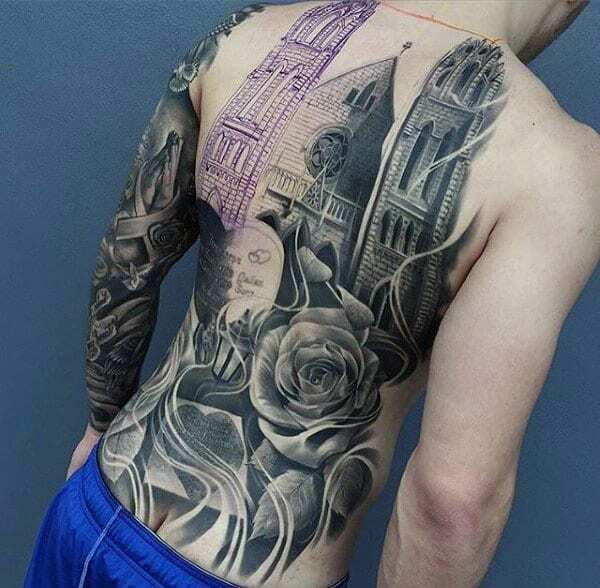 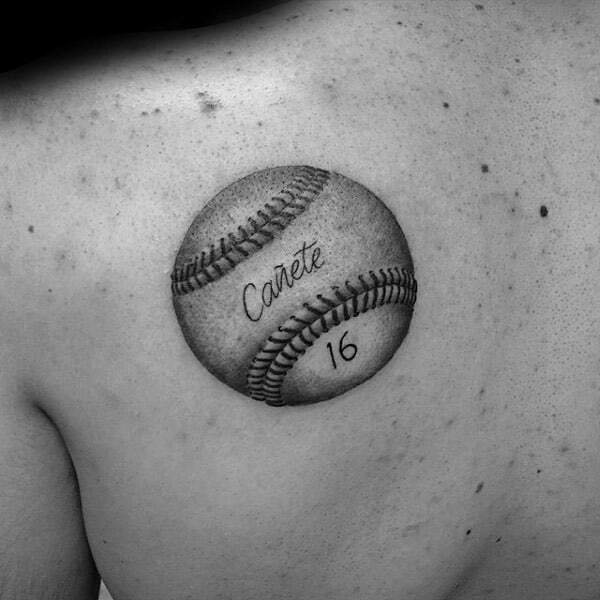 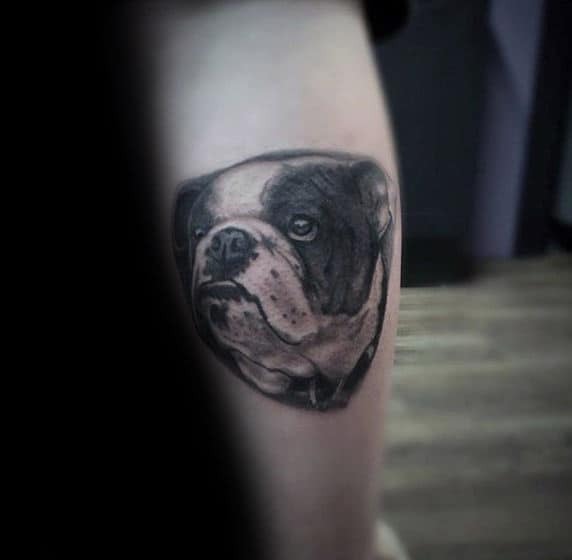 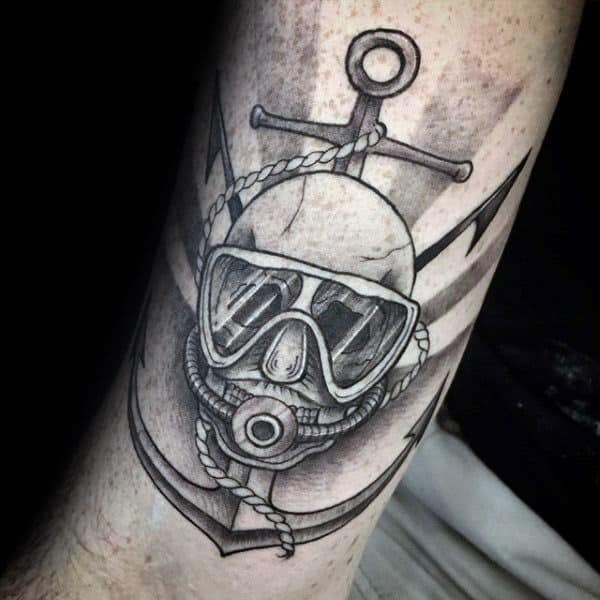 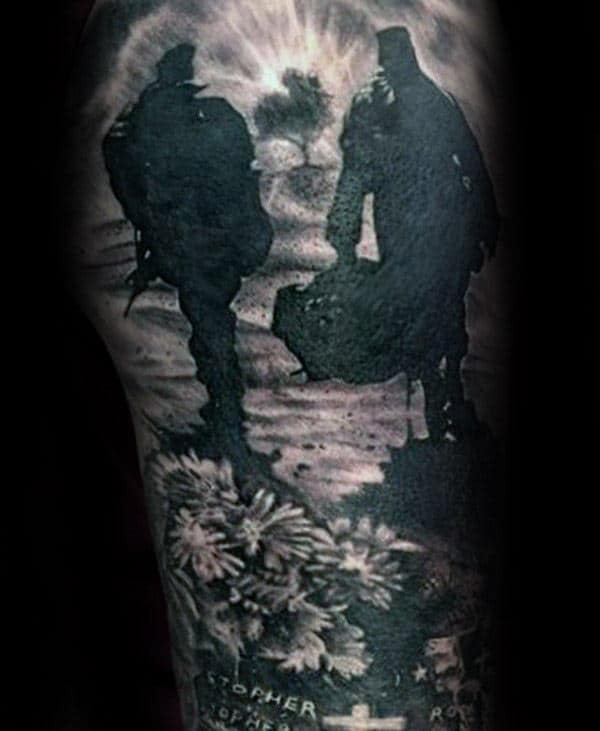 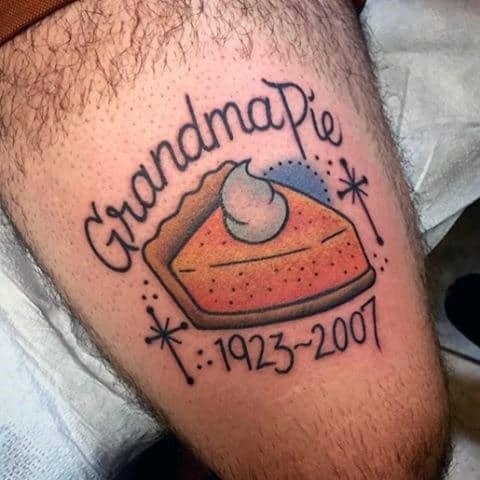 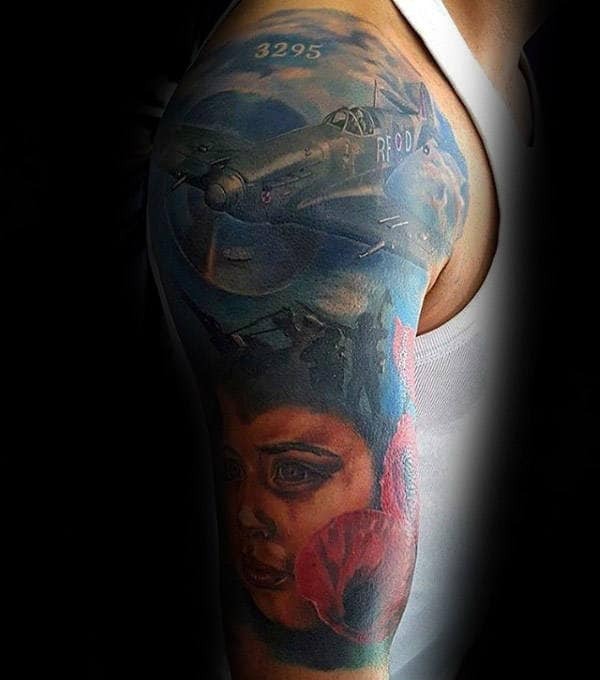 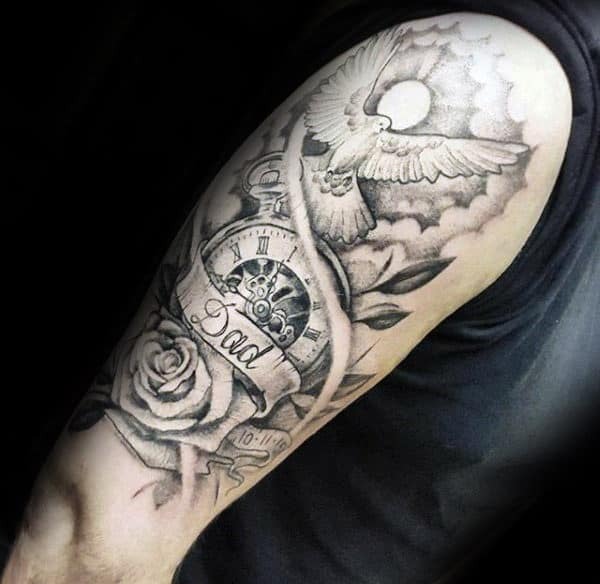 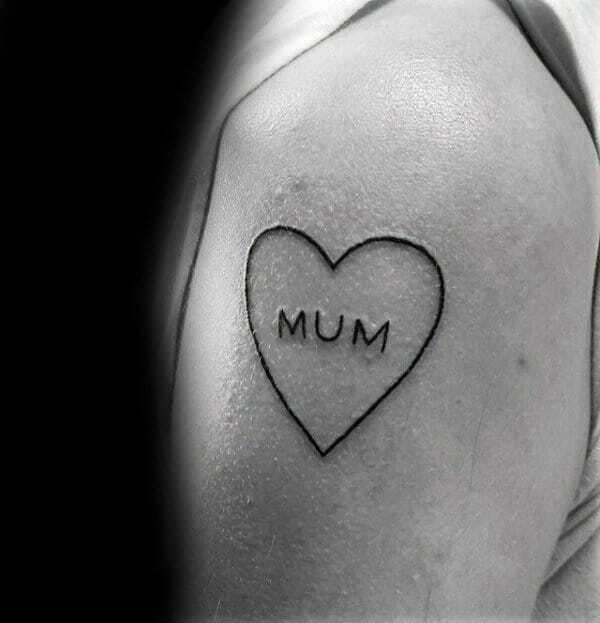 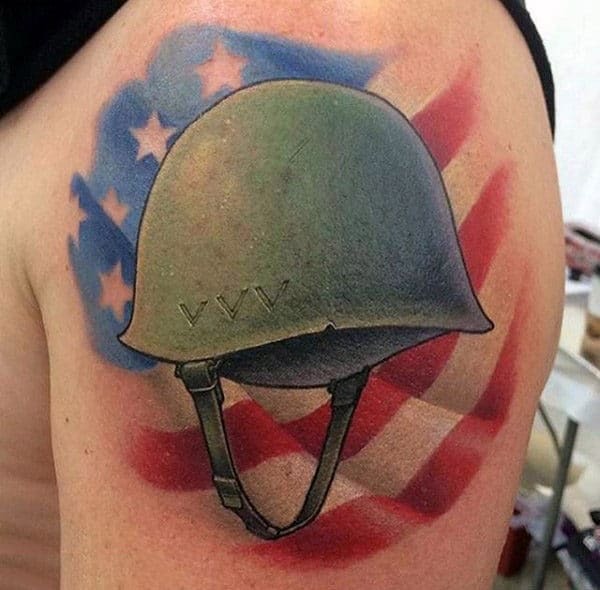 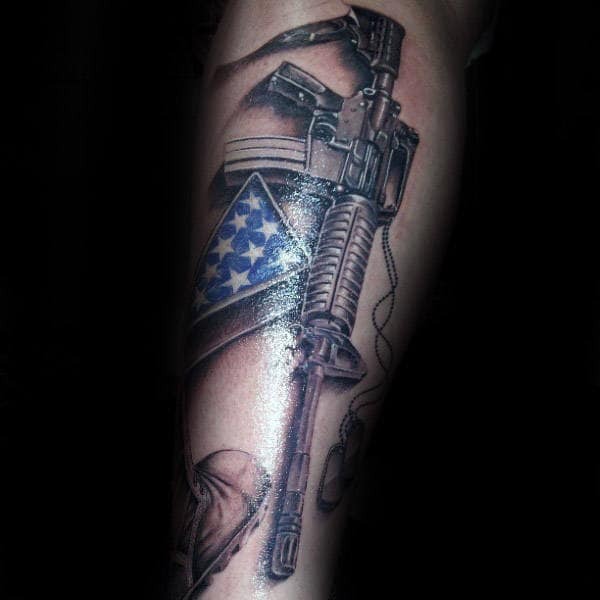 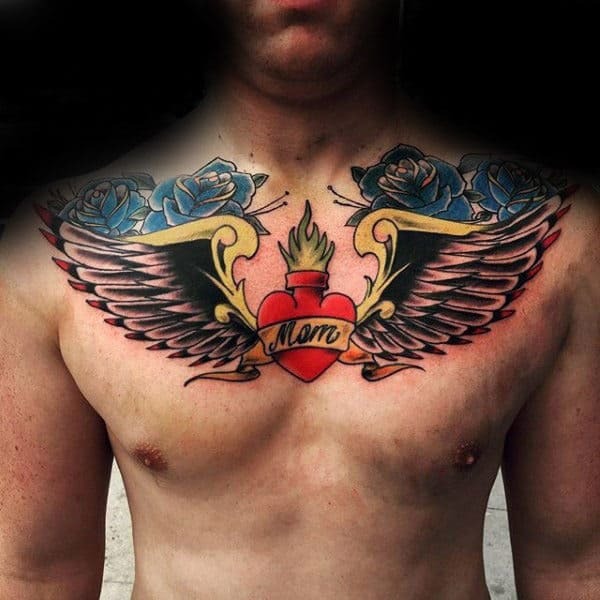 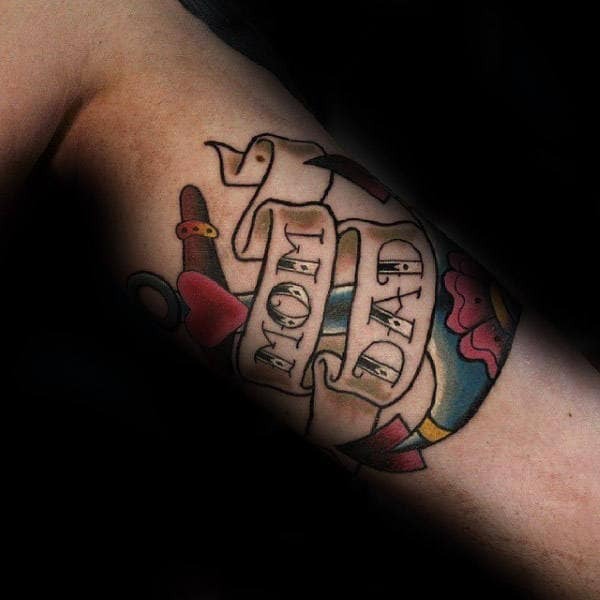 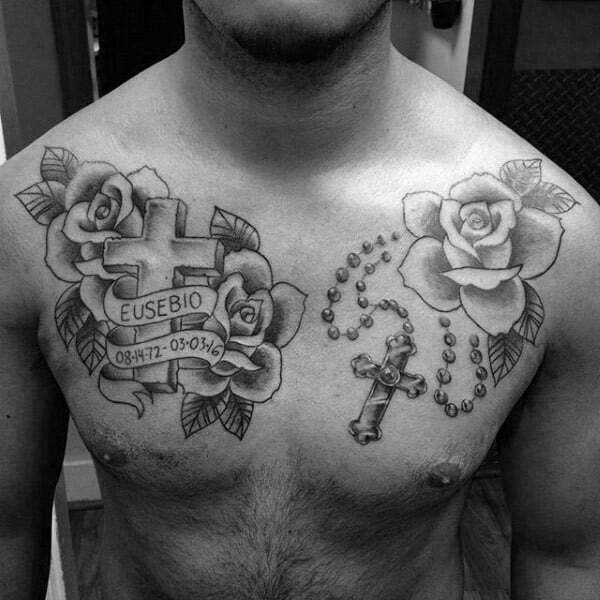 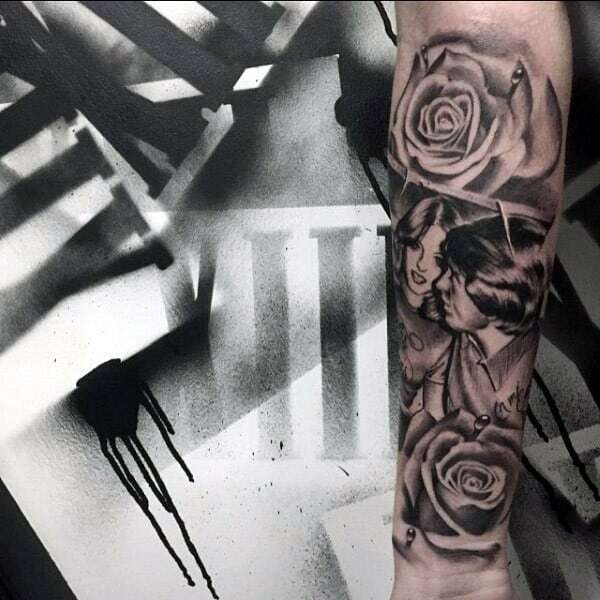 Memorial tattoos are frequently enhanced by the inclusion of names and dates. 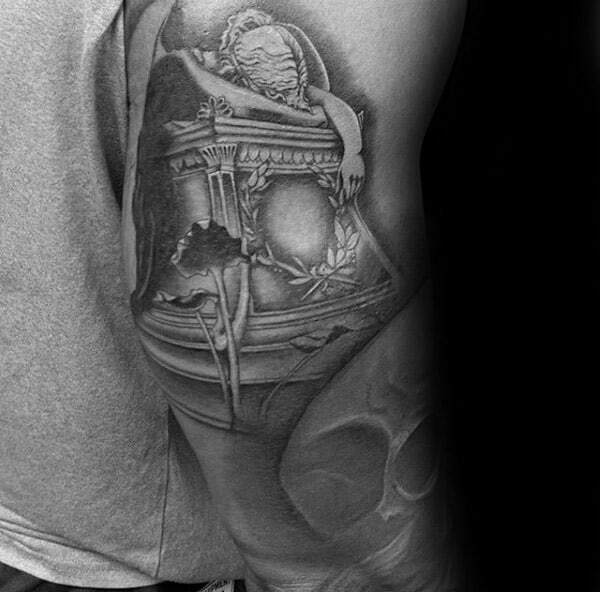 These savvy additions will beatifically serve as a concrete reminder of any individual at the center of this homage. 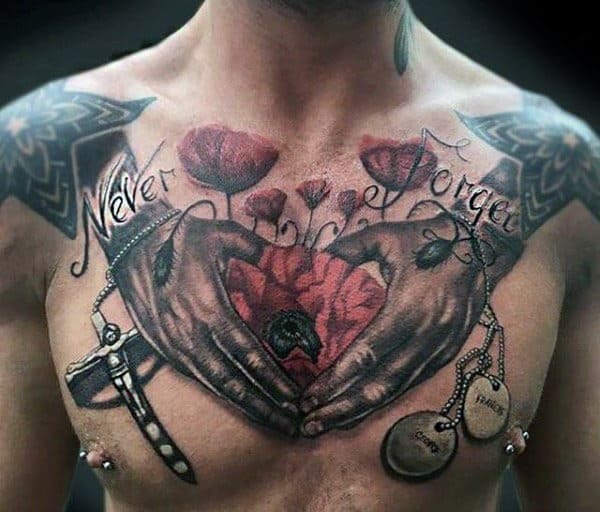 These benevolent adornments can be used to remember anyone who has left your life. 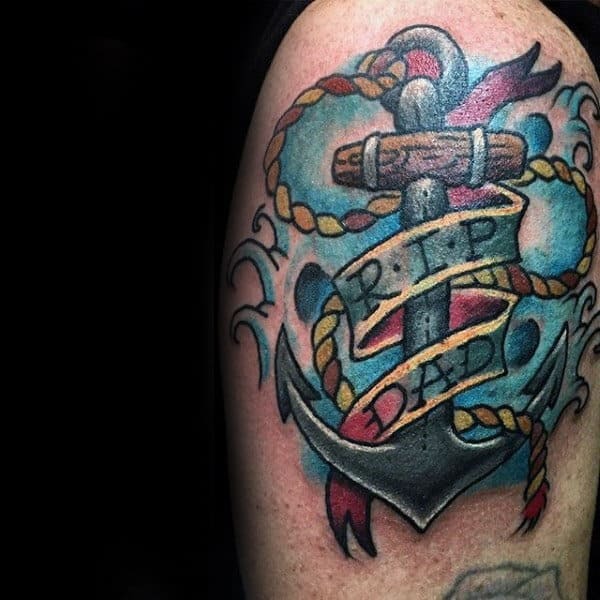 Common themes include lost parents, grandparents and spouses. 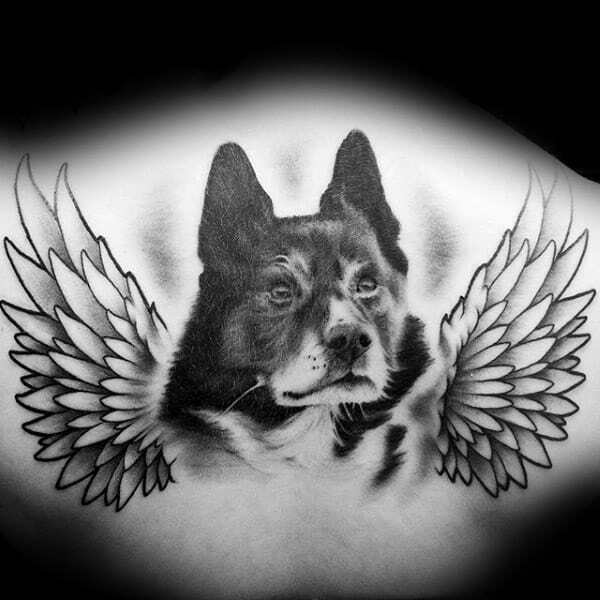 Deceased pets may also be honored in this fashion.